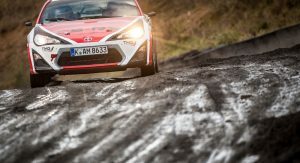 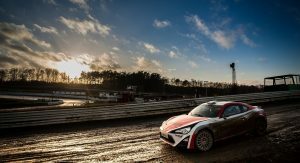 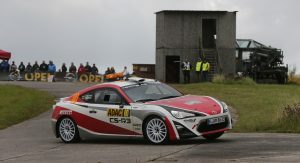 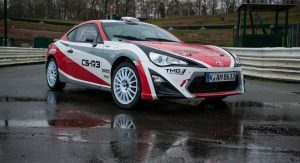 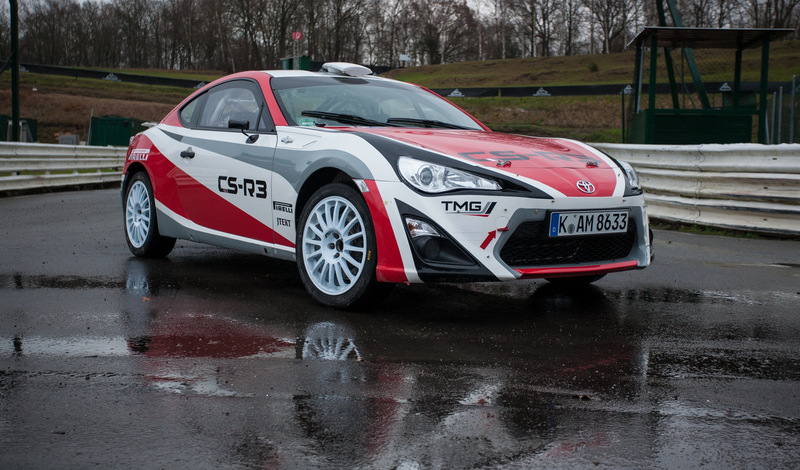 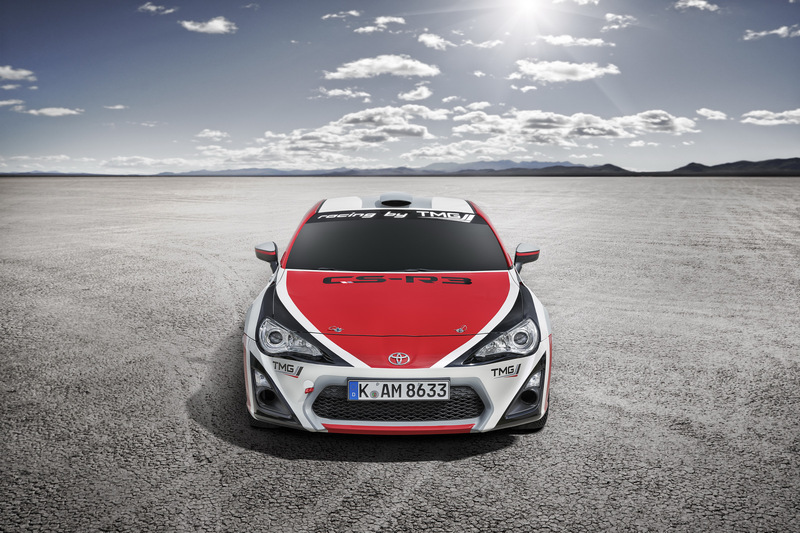 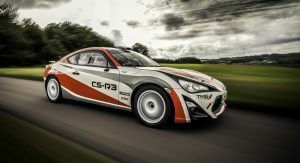 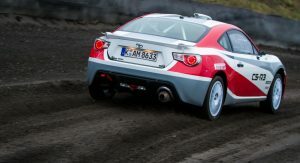 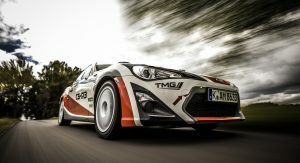 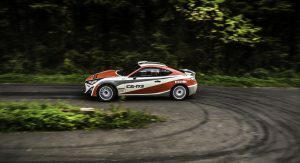 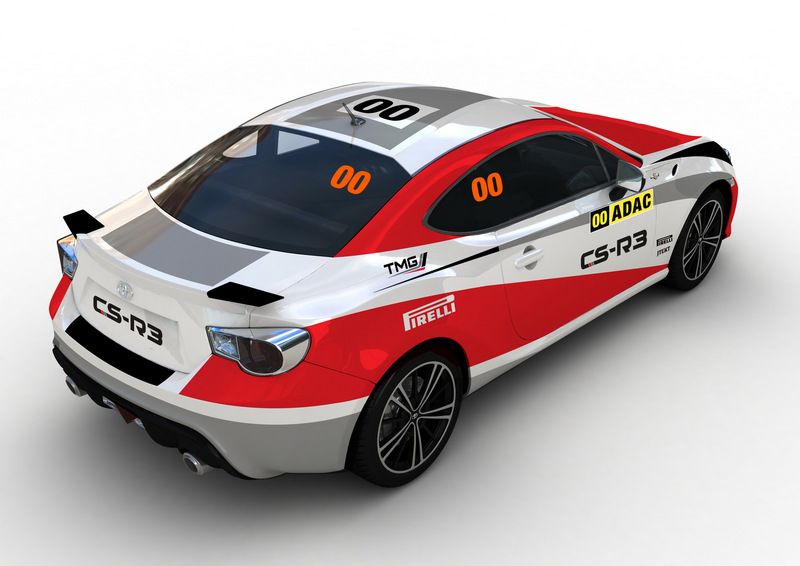 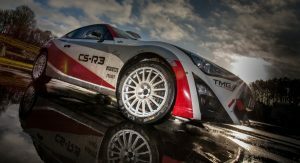 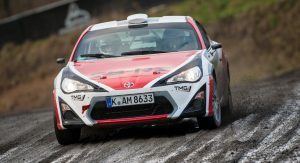 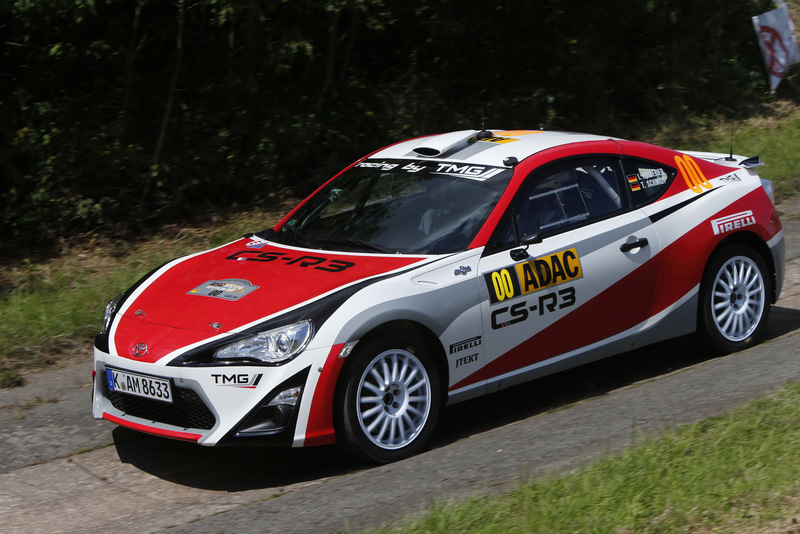 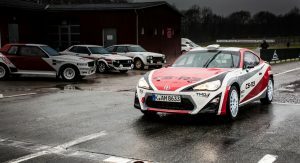 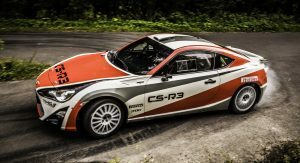 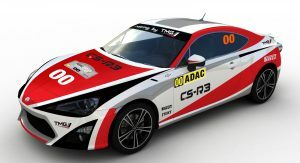 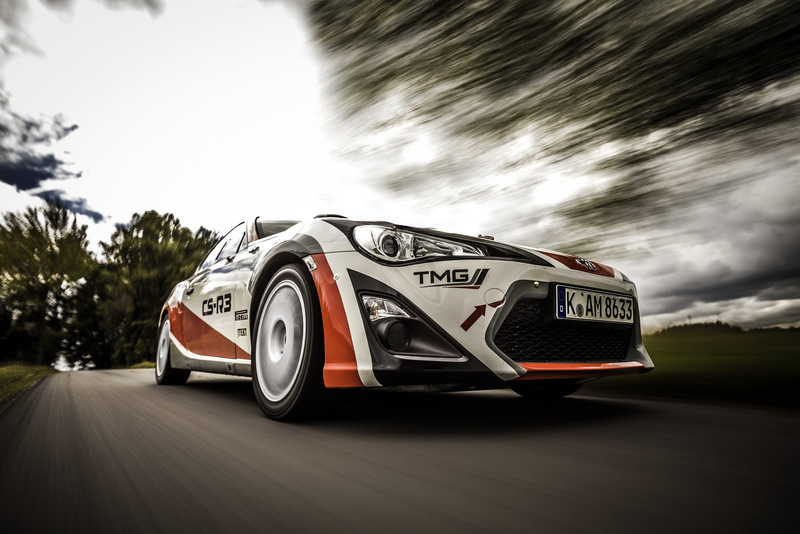 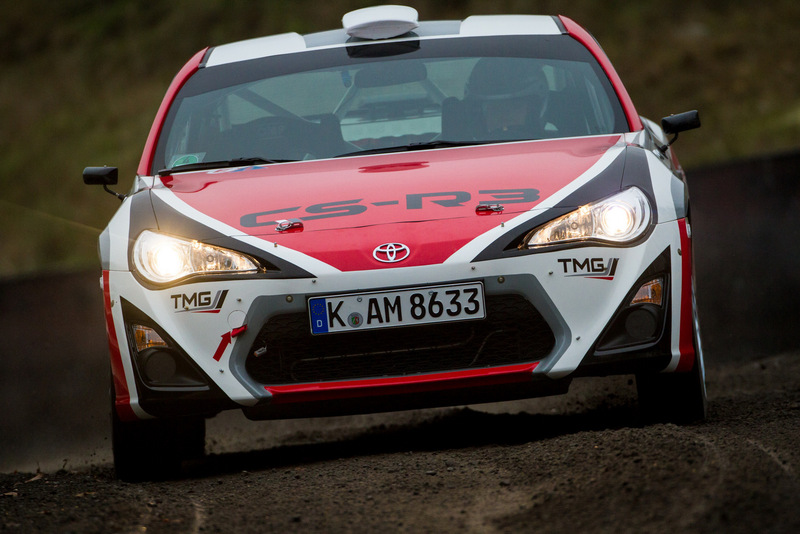 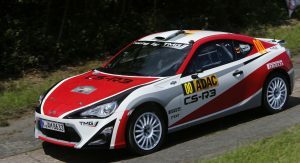 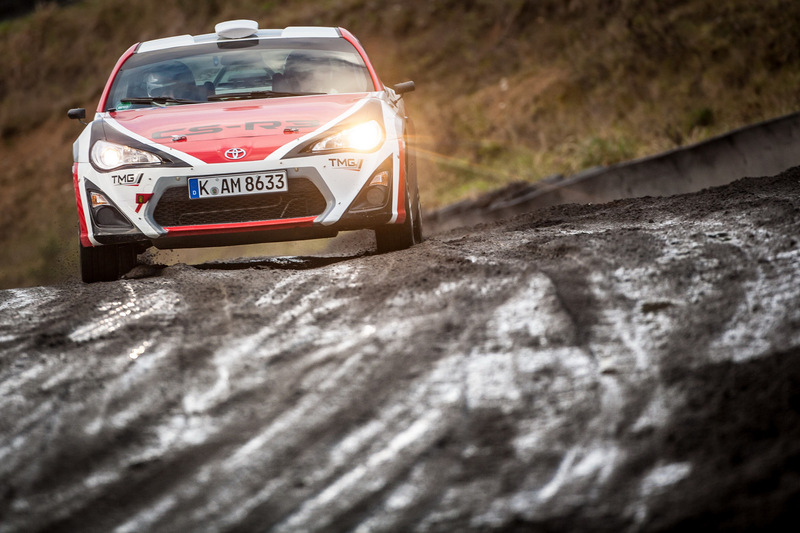 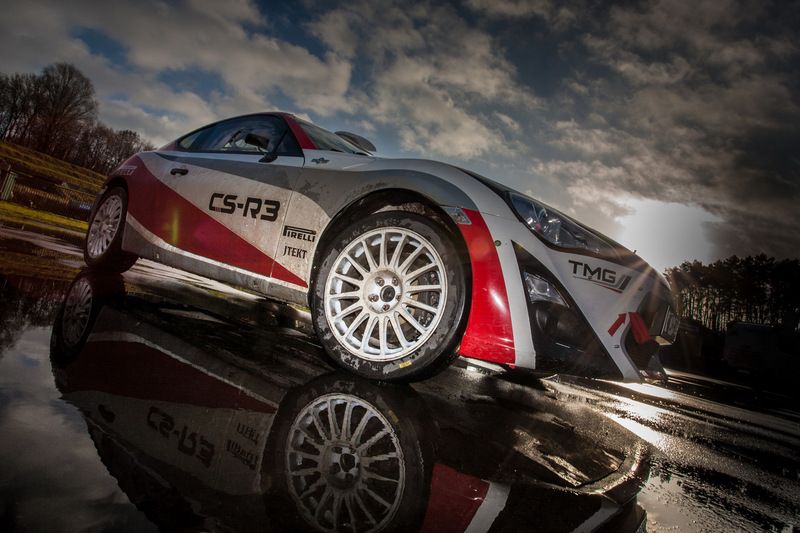 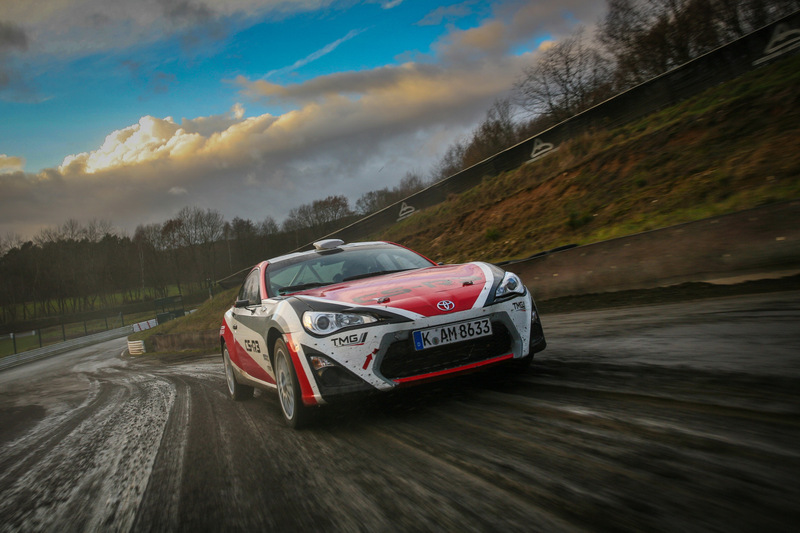 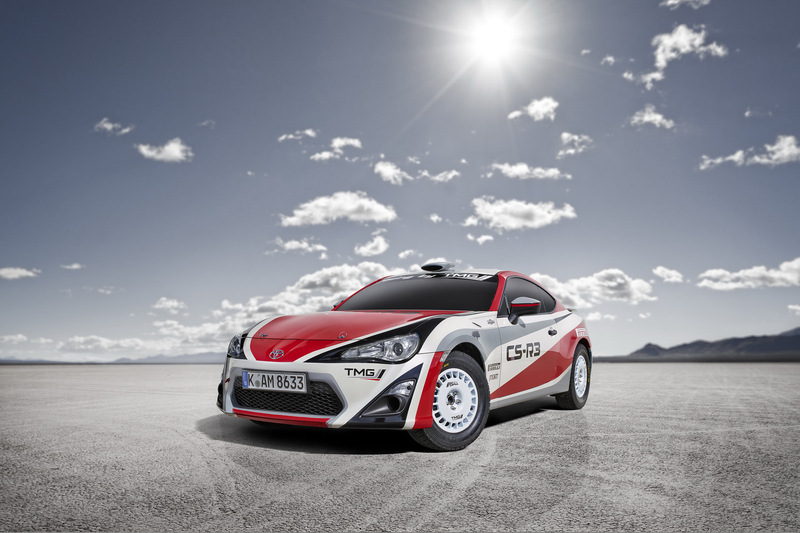 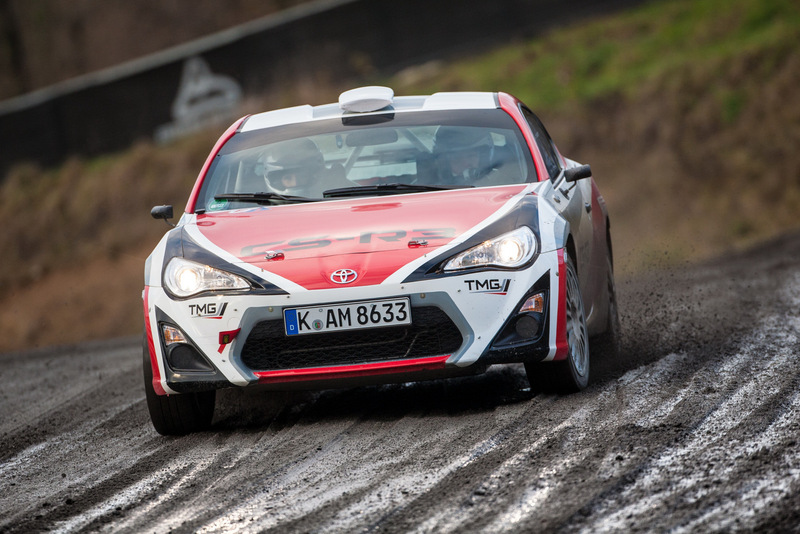 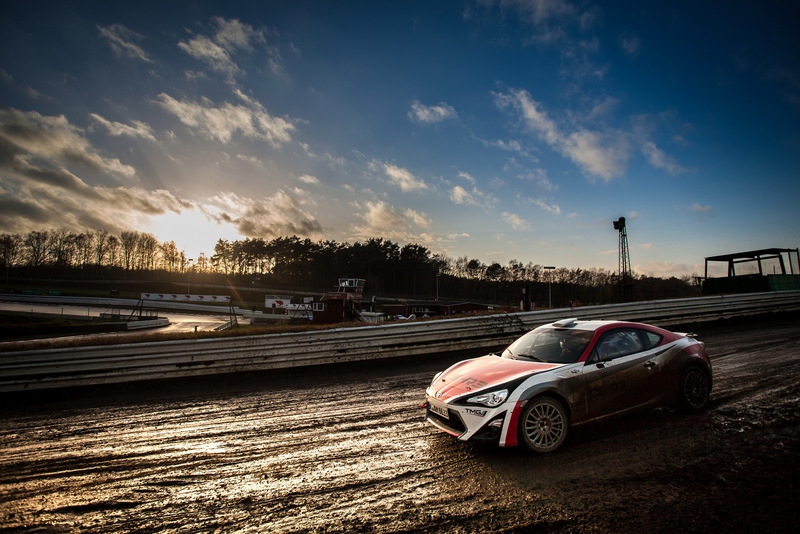 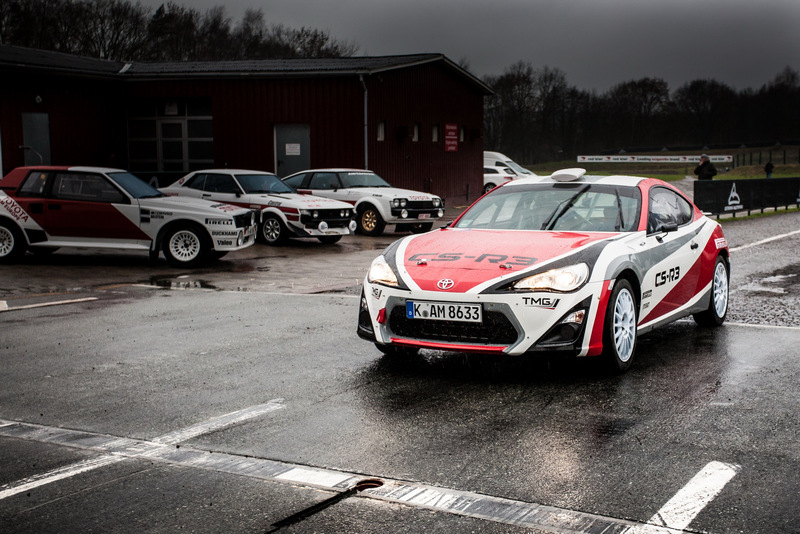 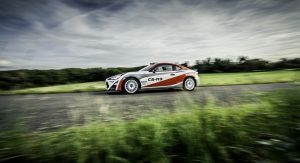 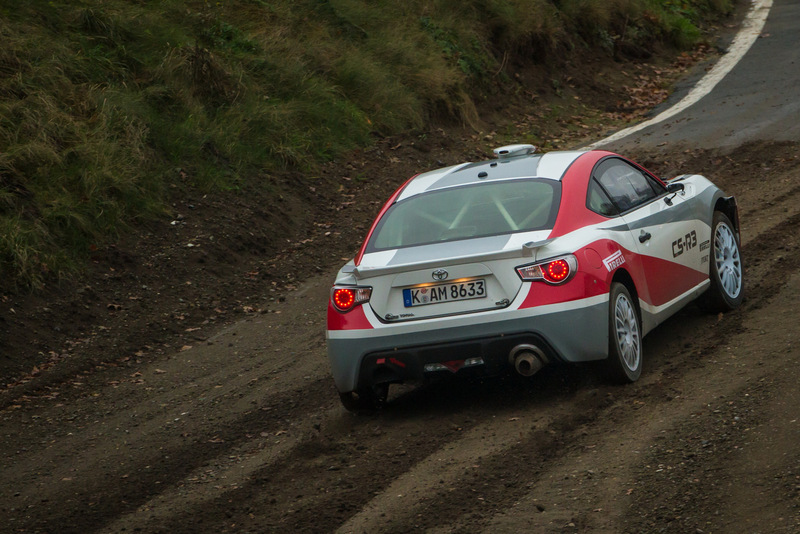 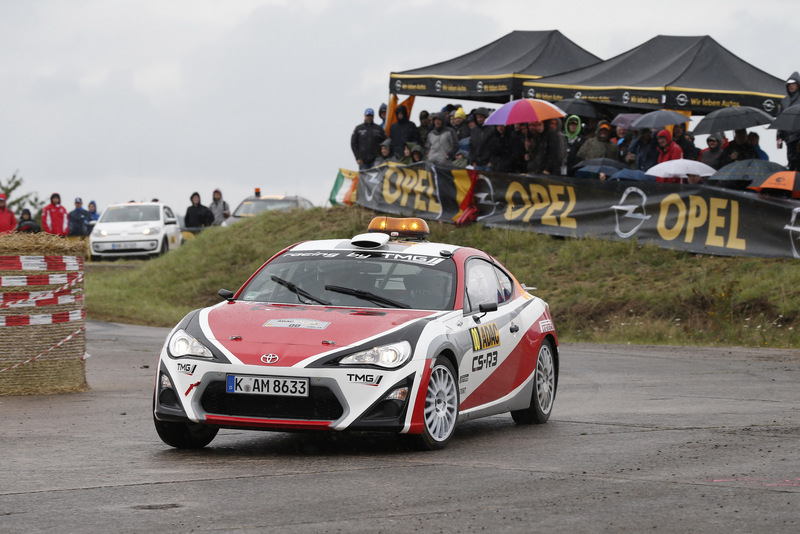 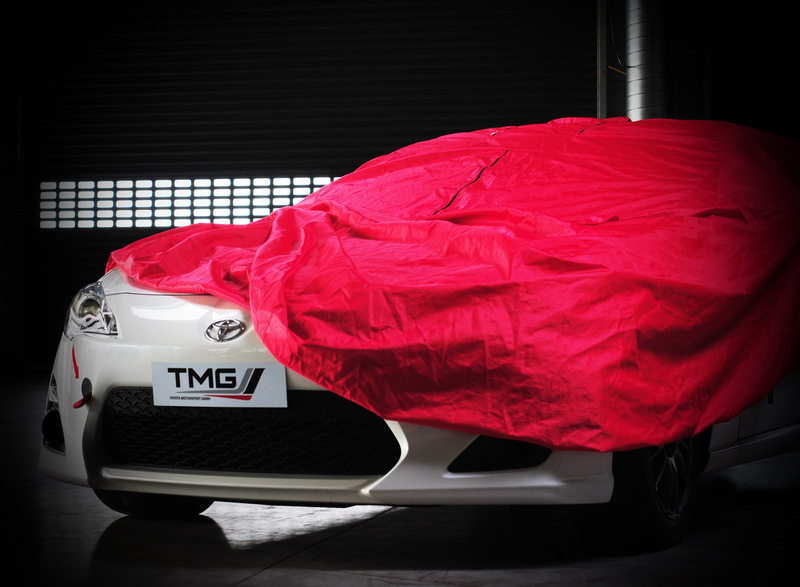 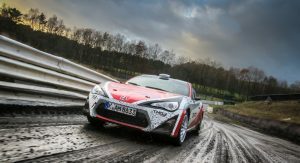 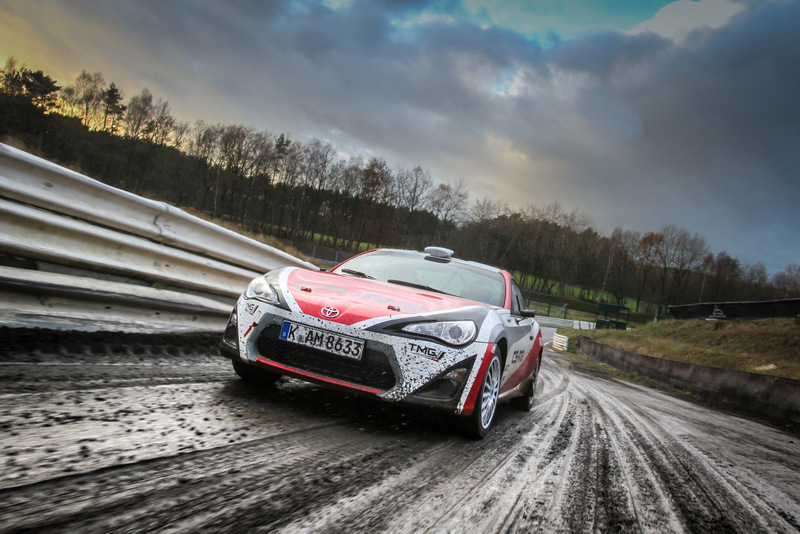 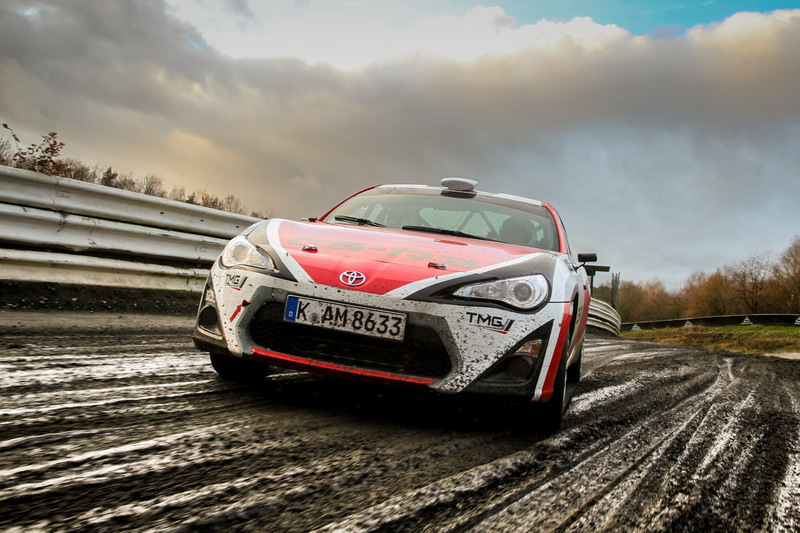 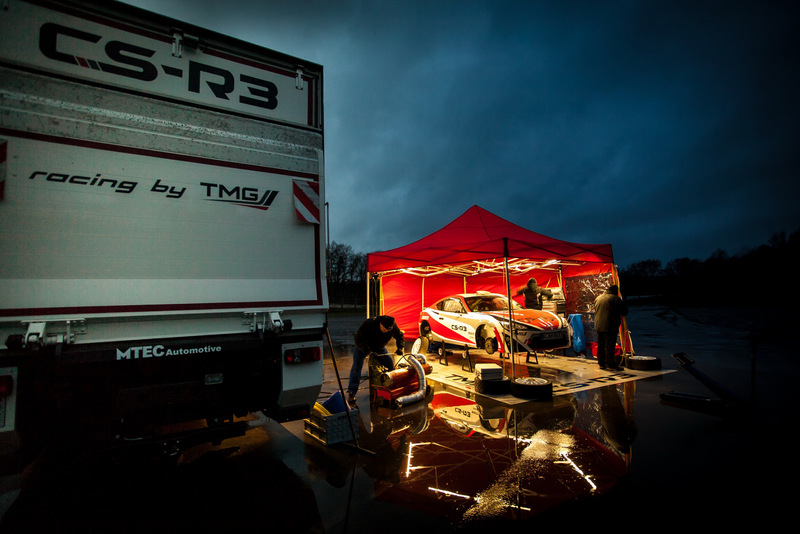 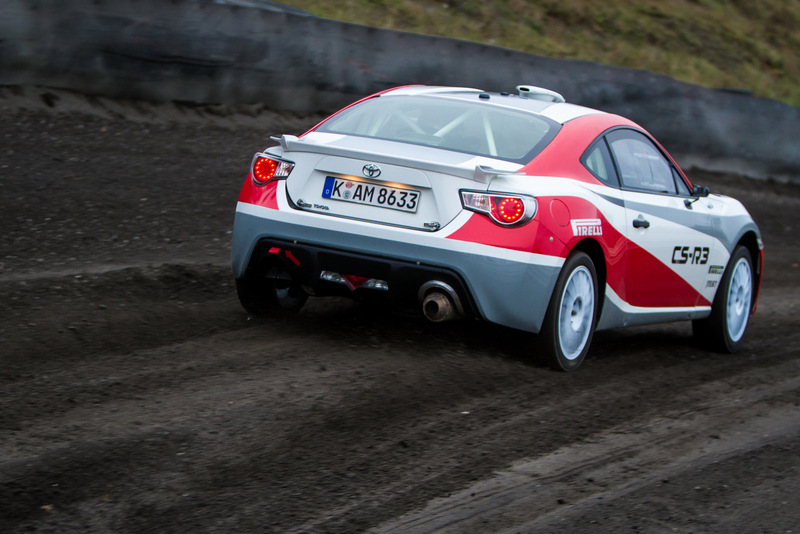 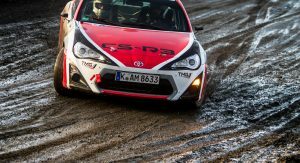 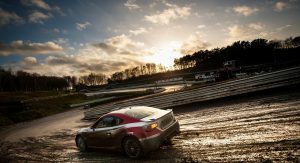 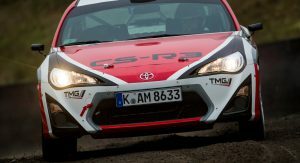 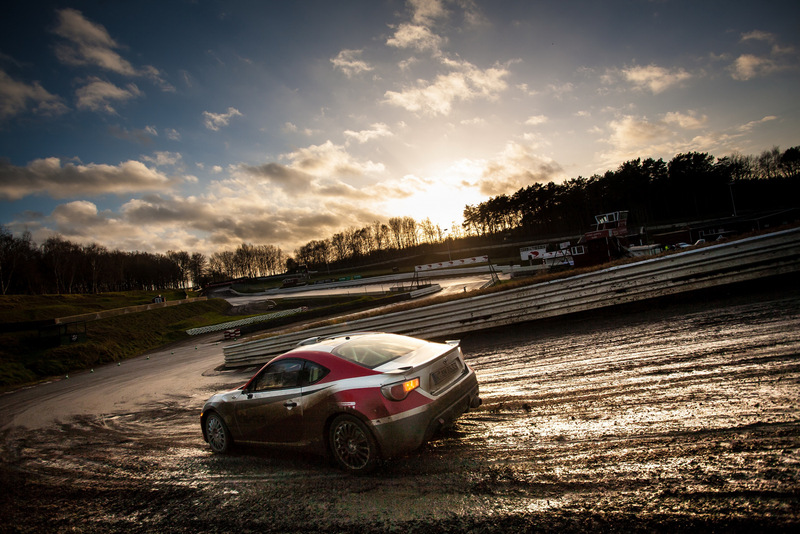 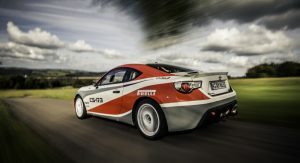 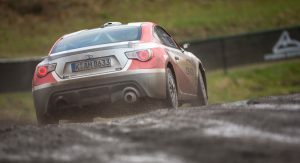 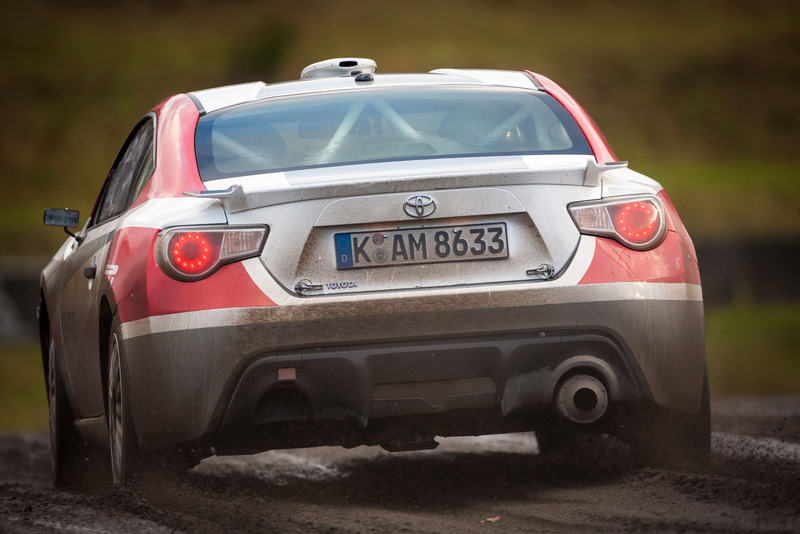 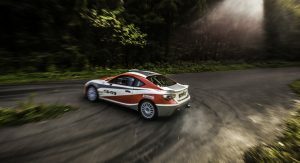 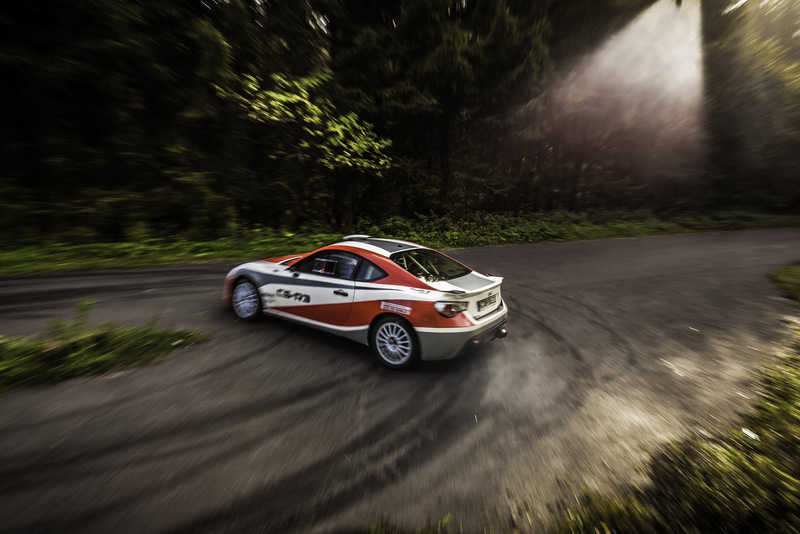 Toyota Motorsport GmbH (TMG) has finalized development of the GT86 CS-R3 rally car and has revealed full details of the rear-wheel-drive racer which will debut this year. 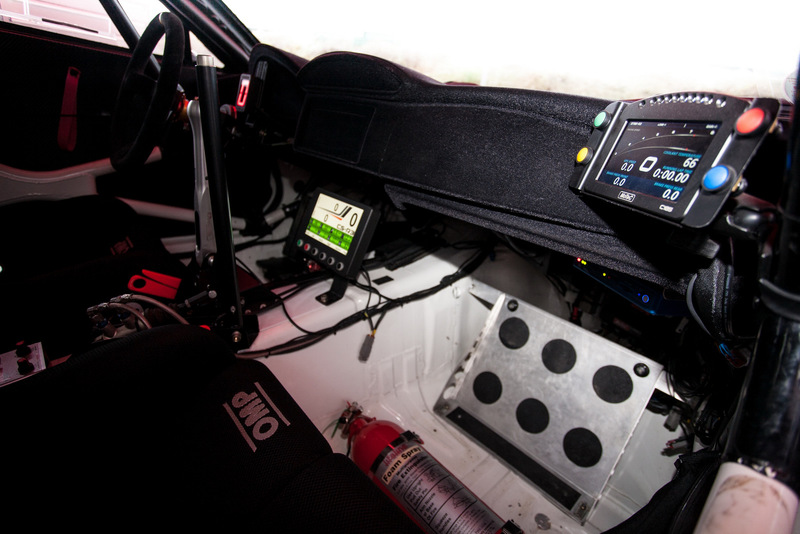 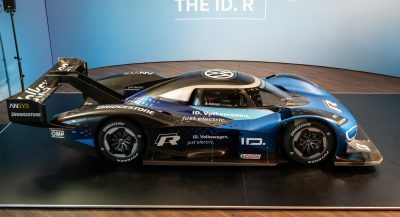 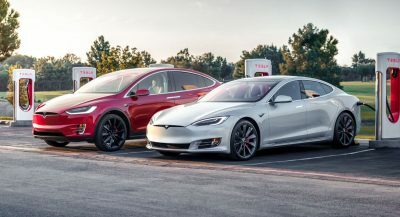 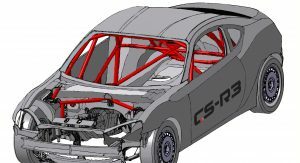 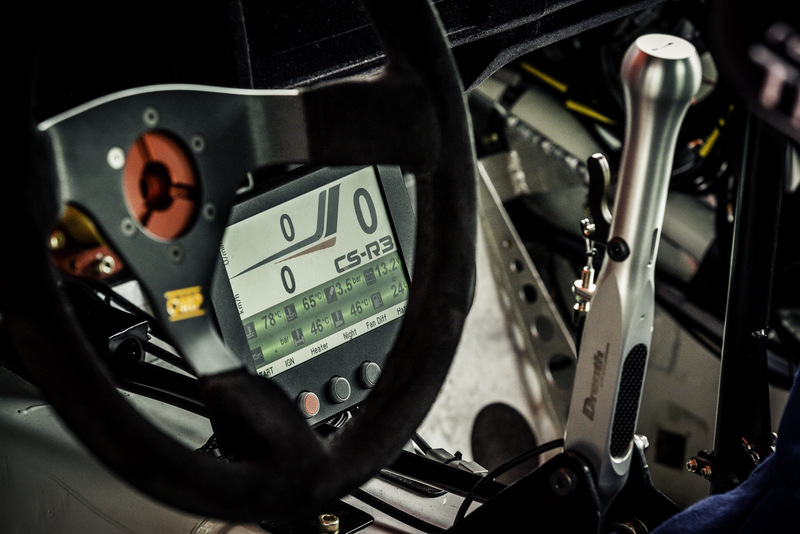 Since tests started in August 2014, the CS-R3 prototype has completed an extensive program to optimize design and define the final specification of the kit which will be sold to private competitors and teams. 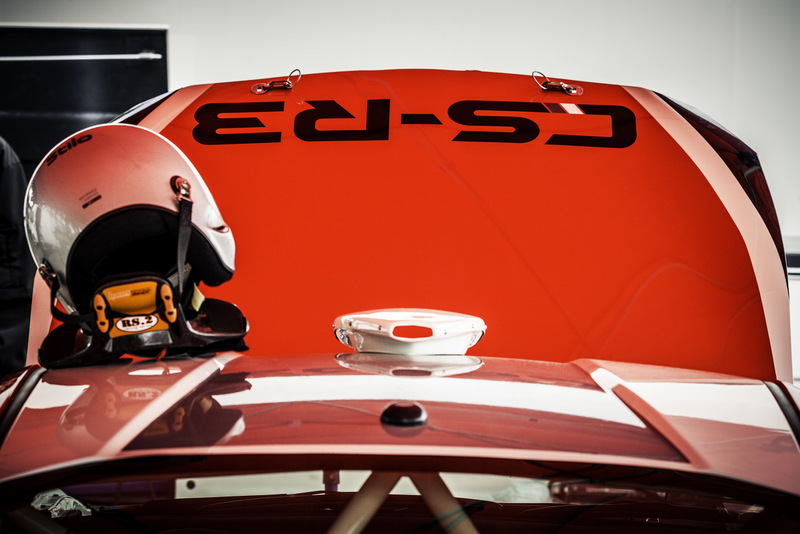 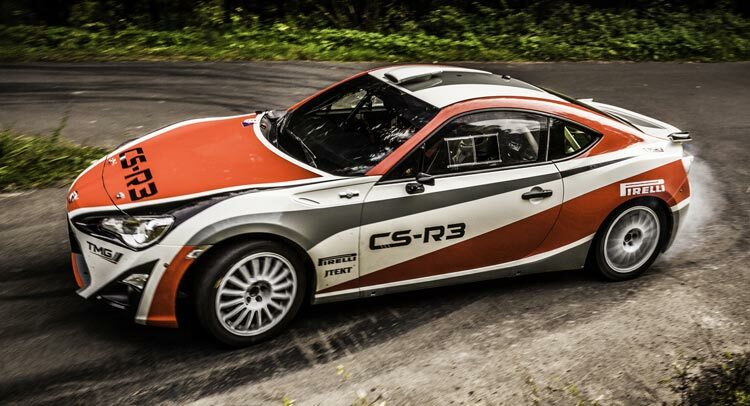 The CS-R3 is powered by a 1,998cc boxer engine which produces 238hp and 230Nm (170lb-ft) of torque at 6,800 rpm. 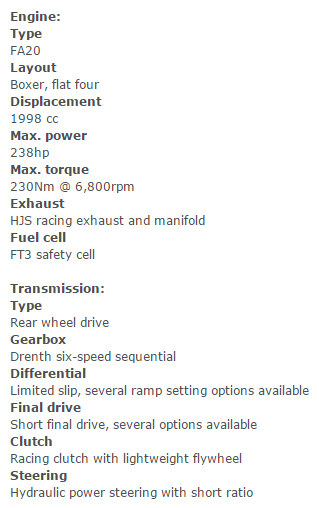 The unit is mated to a six-speed sequential transmission. 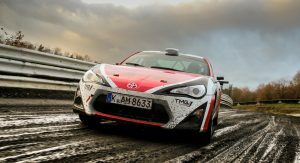 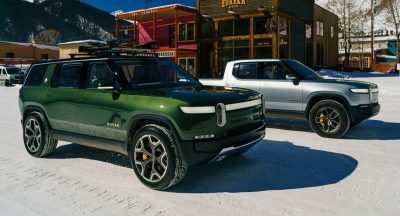 The first cars will be delivered to customers in May, later than originally forecast so that Toyota can implement the improvements highlighted during testing. 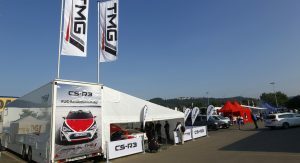 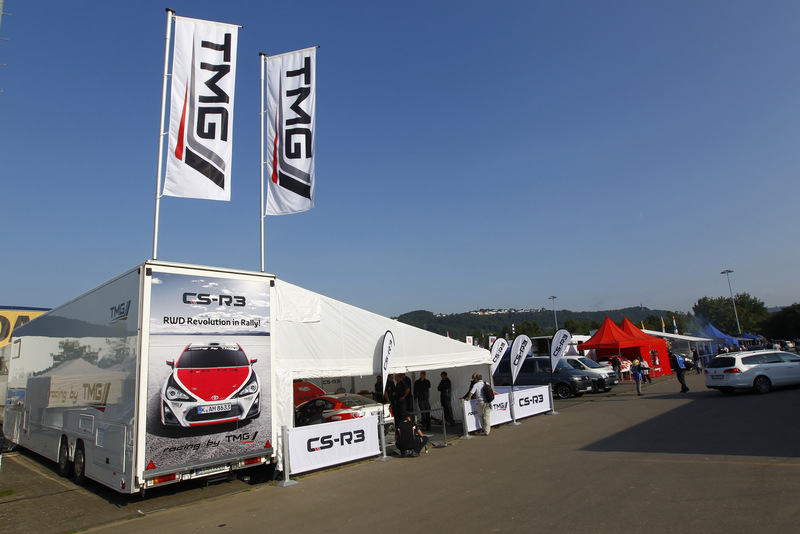 As a consequence, TMG has extended its introductory discount, with the CS-R3 kit costing €79,000 for orders made before April 24, 2015. 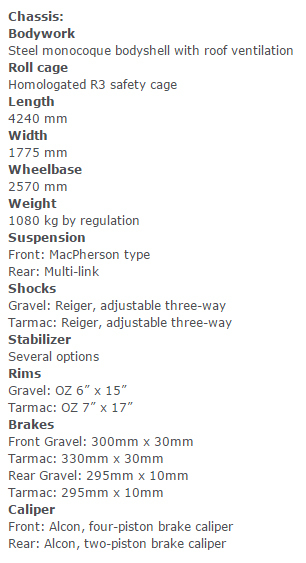 That’s a €5,000 discount on the standard retail price of €84,000. 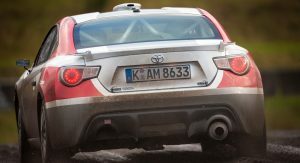 Prices are the same for both specifications (tarmac or gravel) and don’t include VAT. 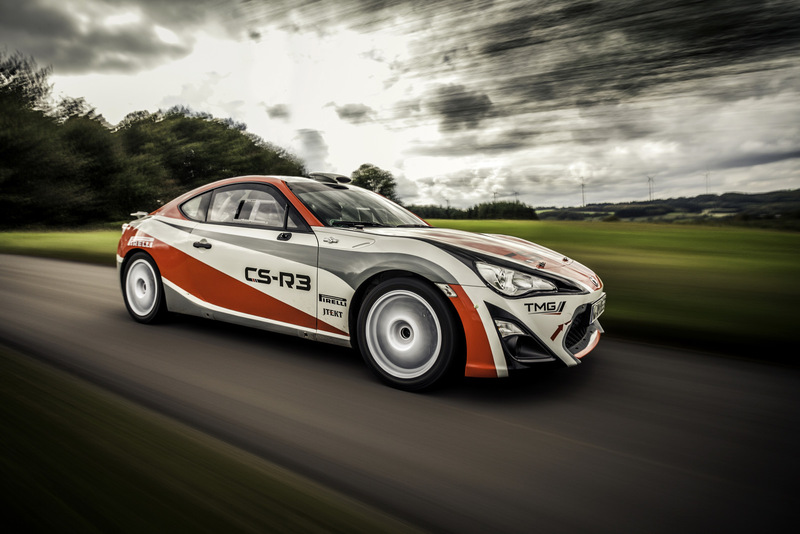 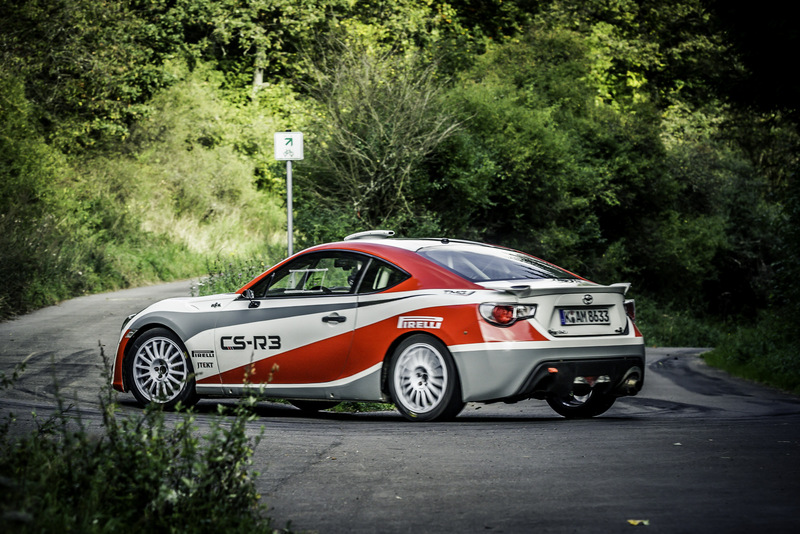 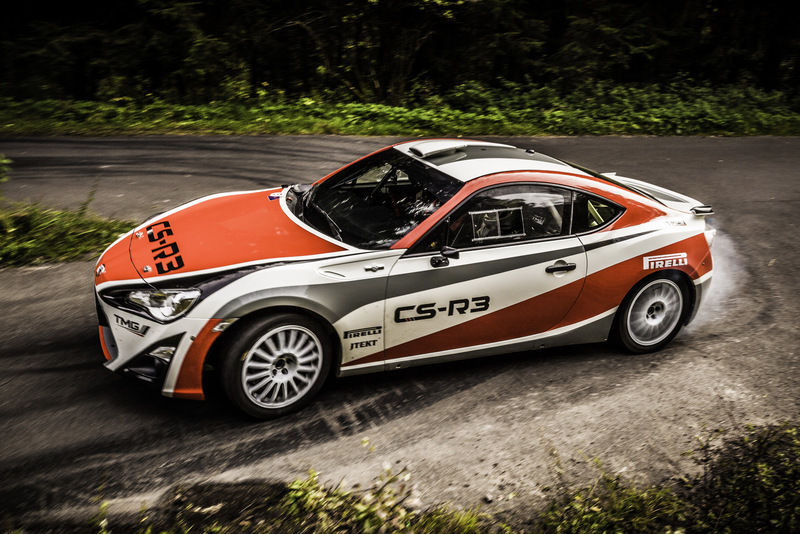 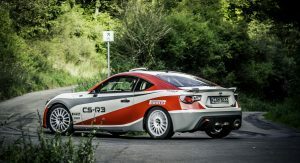 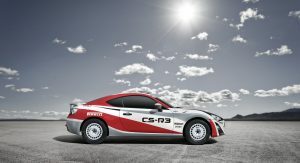 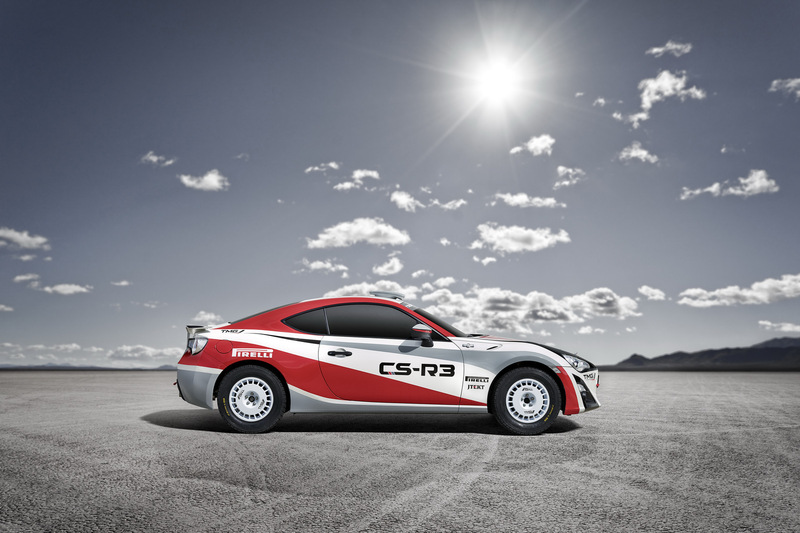 For this considerable amount of money, the CS-R3 kit includes the GT86 body shell, powertrain and all mechanical components required to build the car. 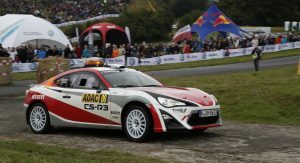 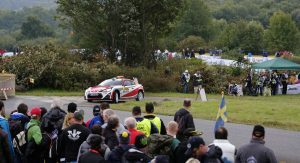 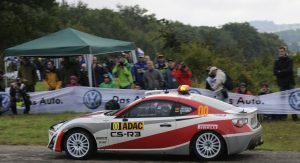 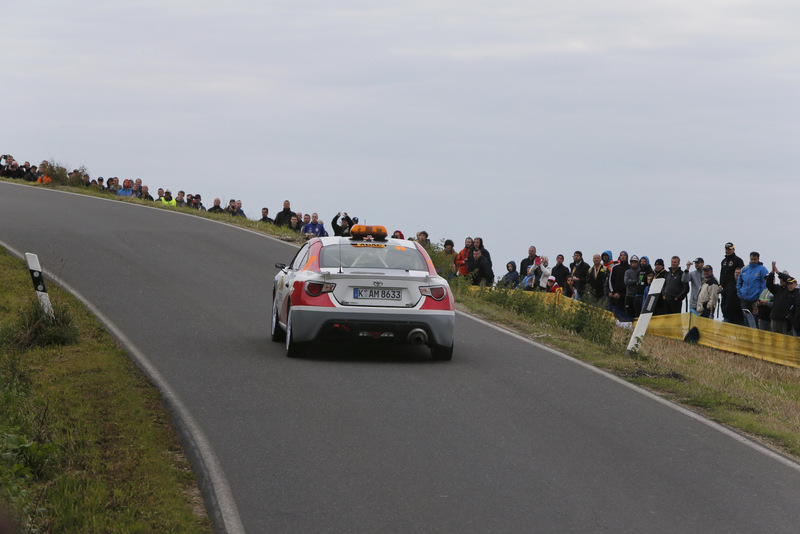 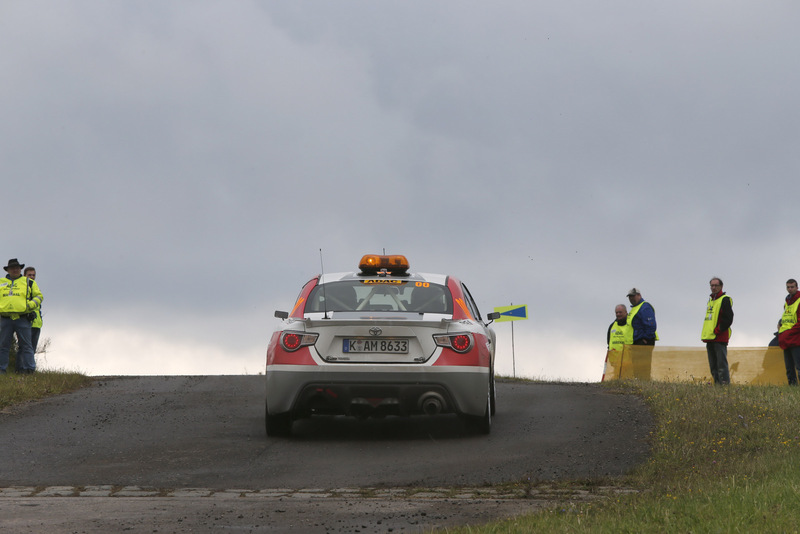 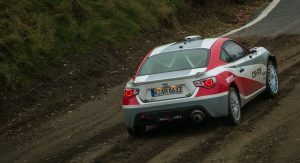 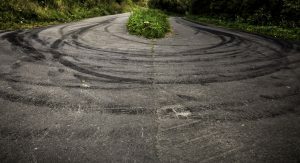 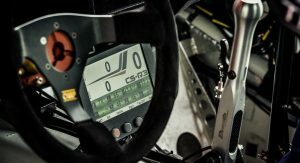 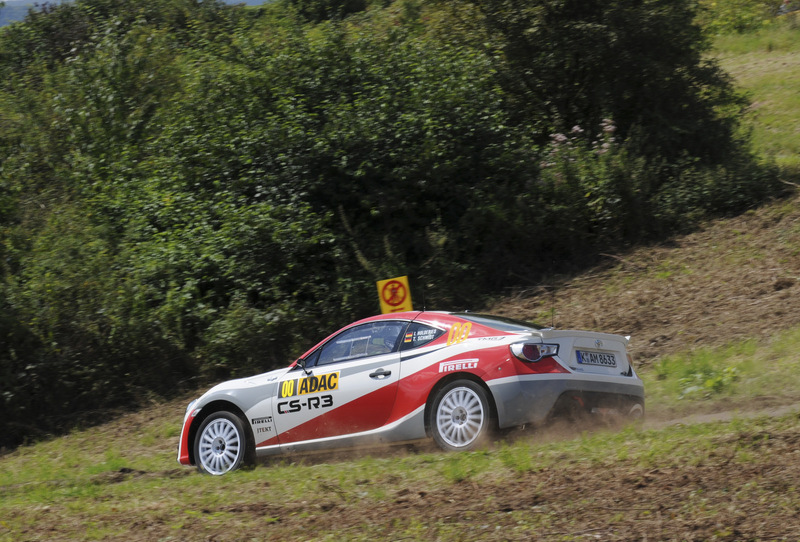 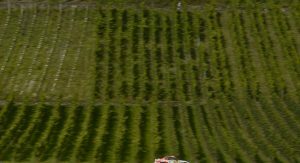 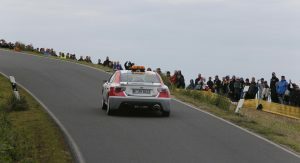 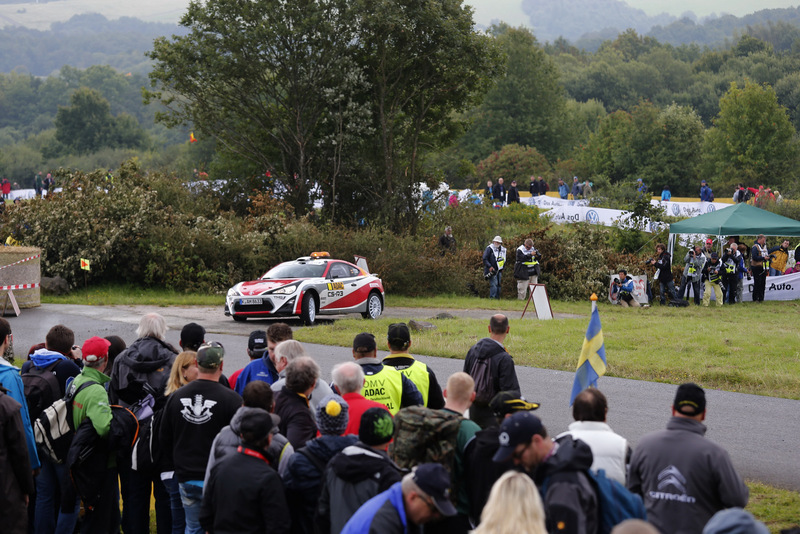 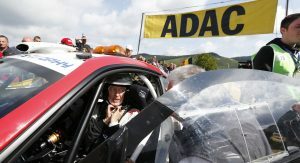 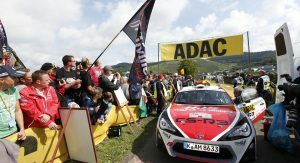 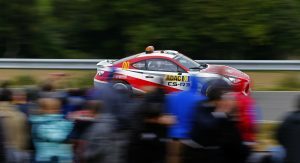 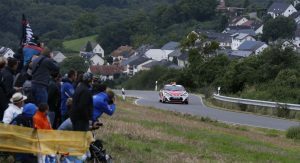 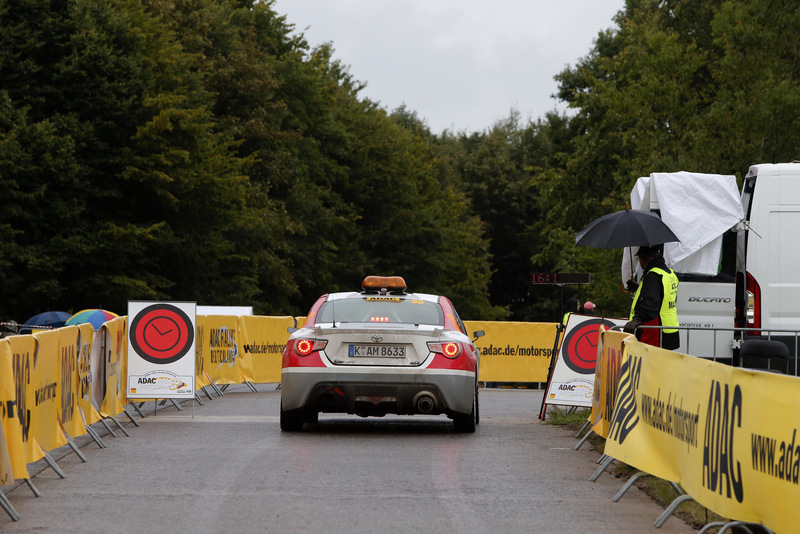 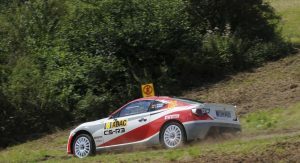 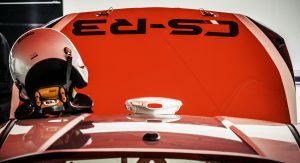 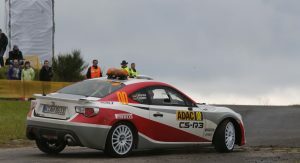 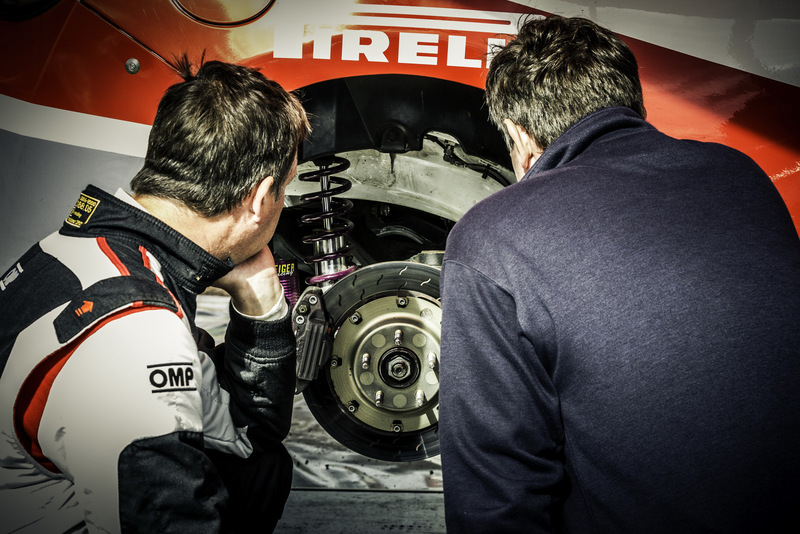 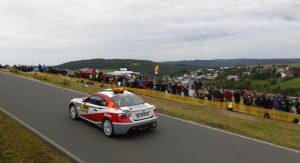 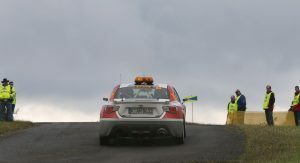 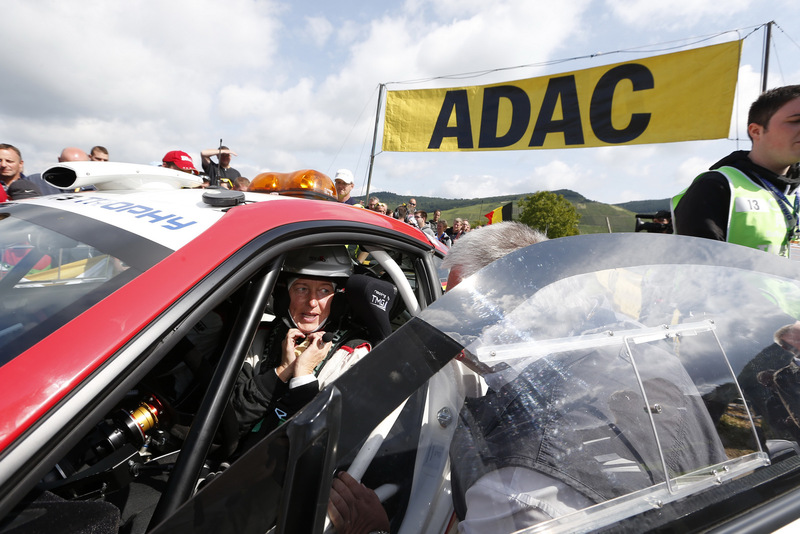 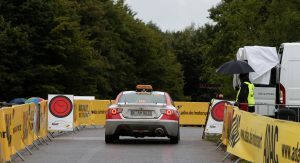 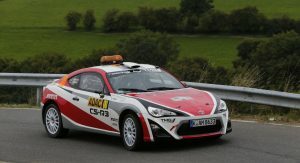 Homologation to FIA R3 regulations will be certified at the beginning of July, after which all CS-R3 cars will be eligible for national and international rallies, including the World Rally Championship. 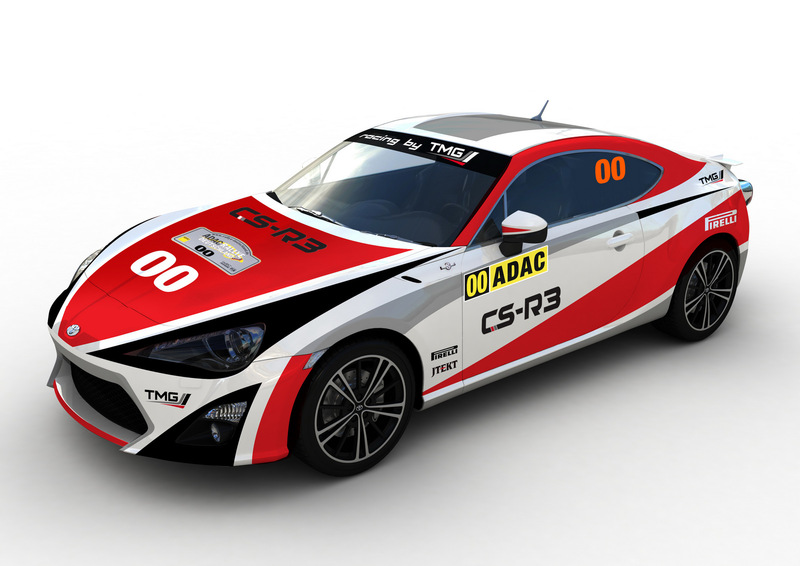 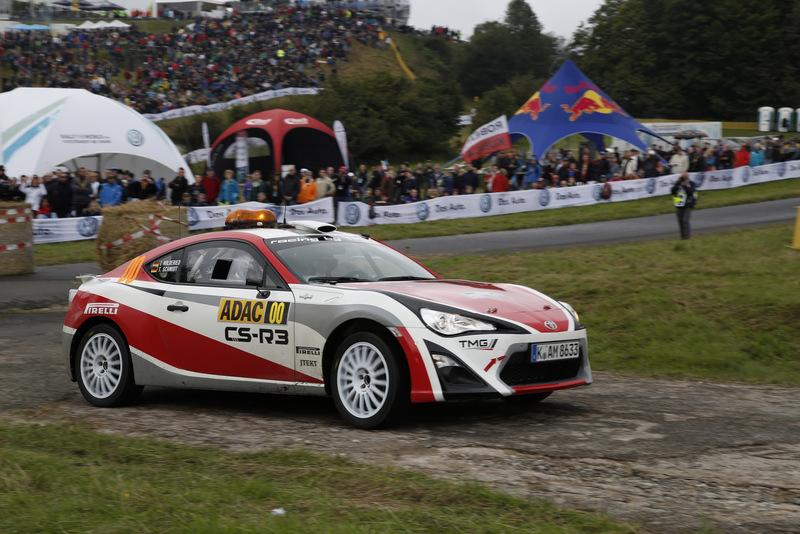 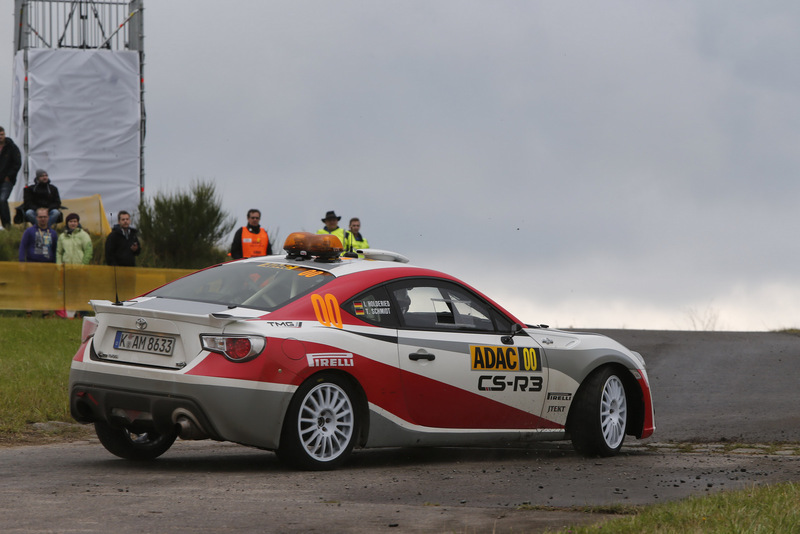 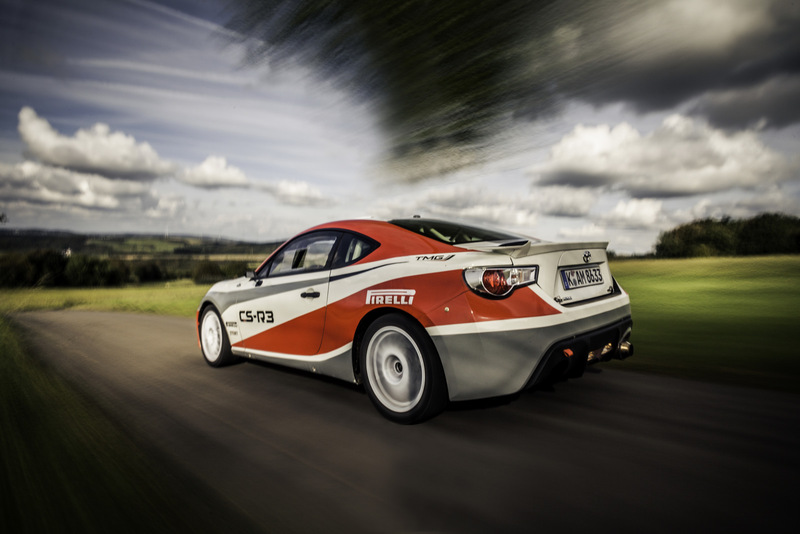 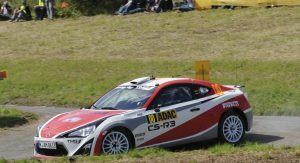 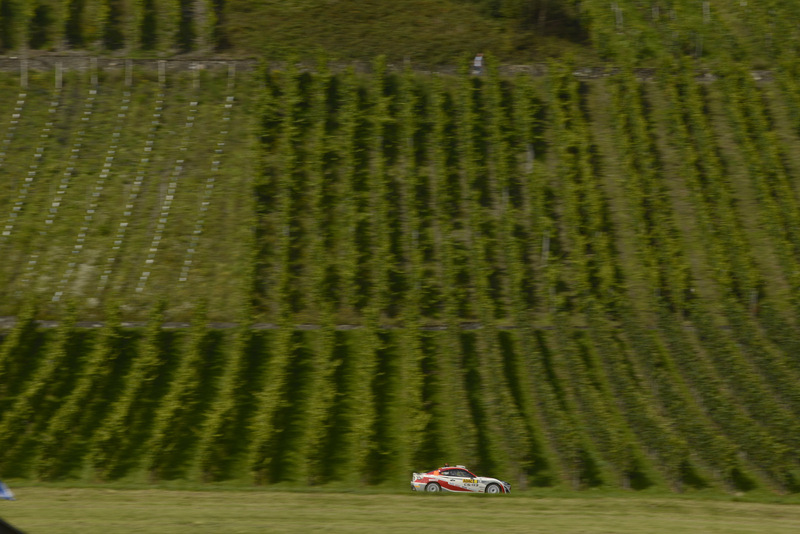 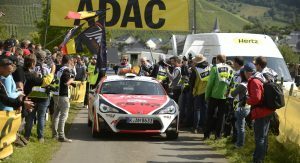 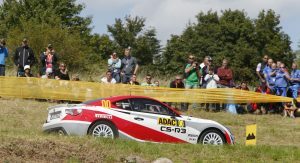 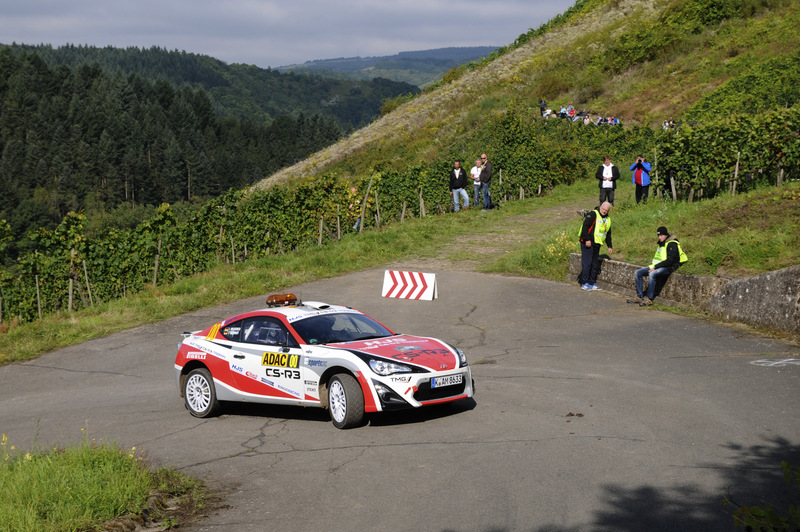 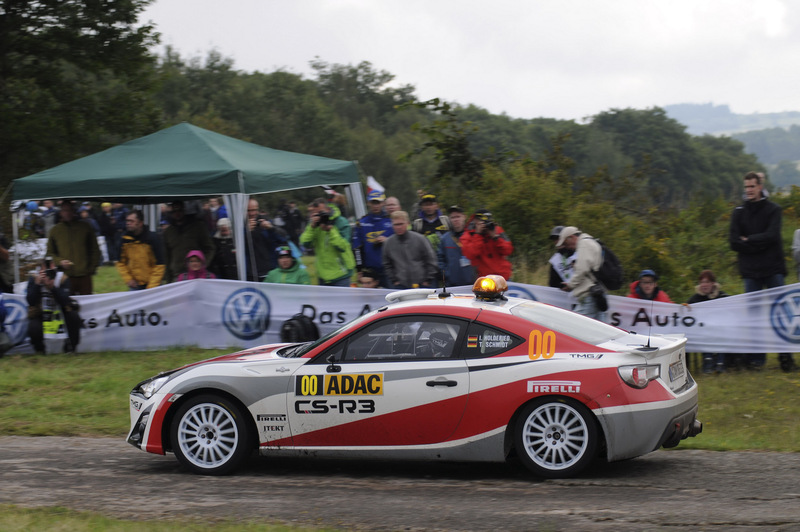 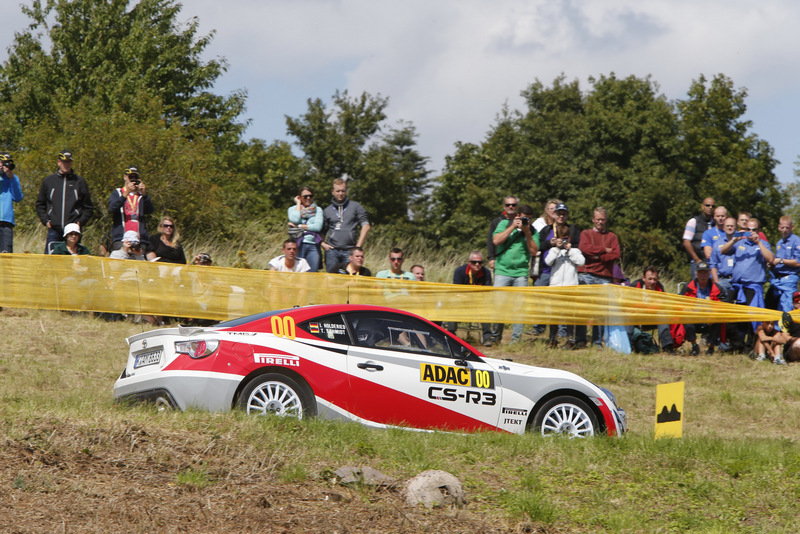 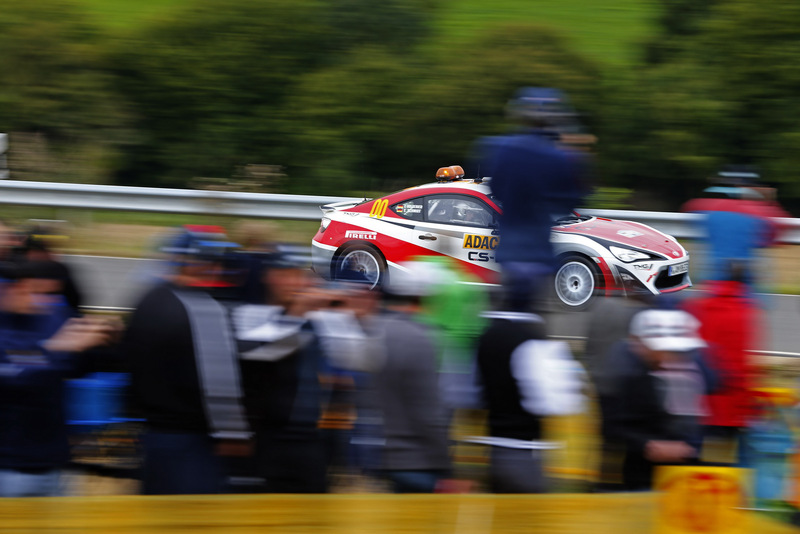 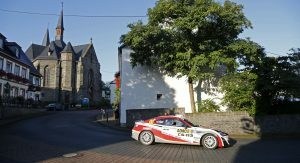 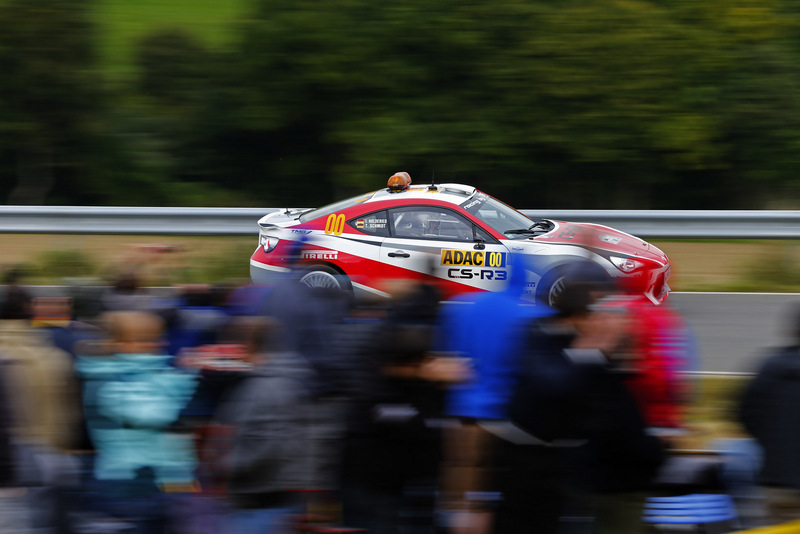 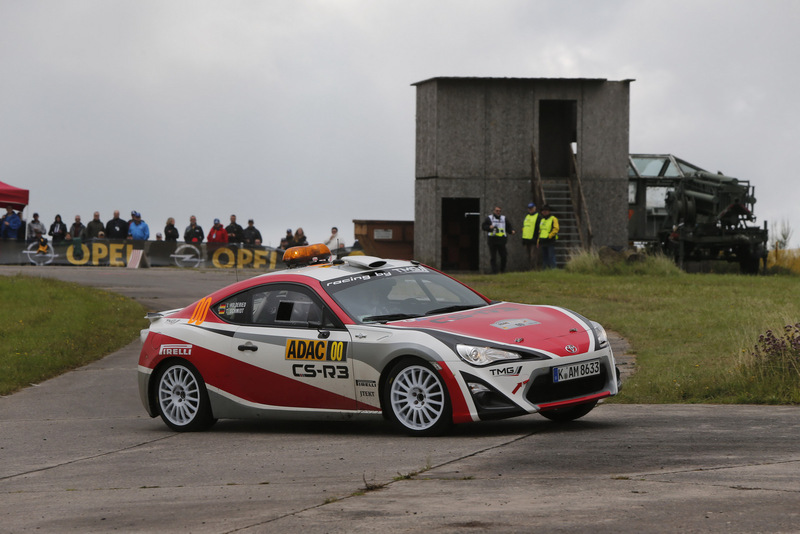 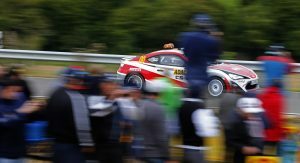 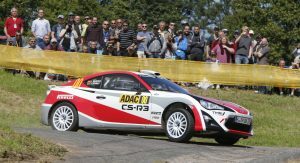 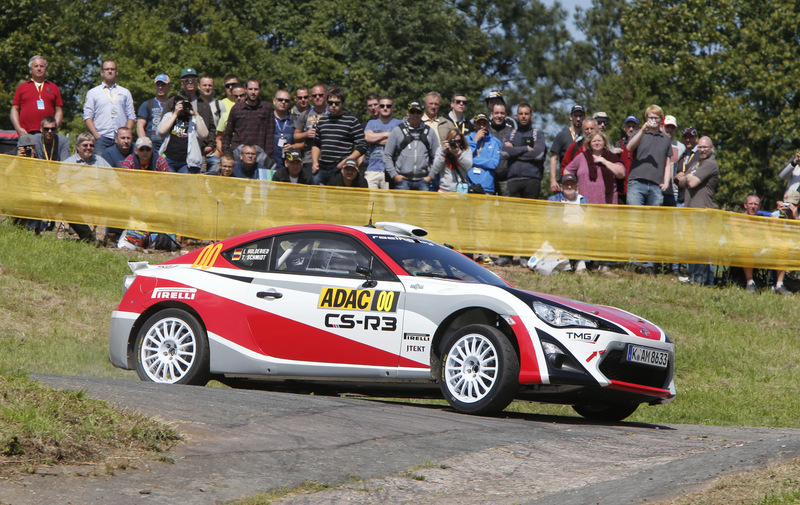 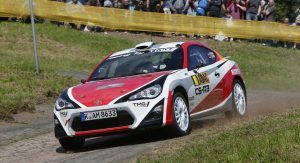 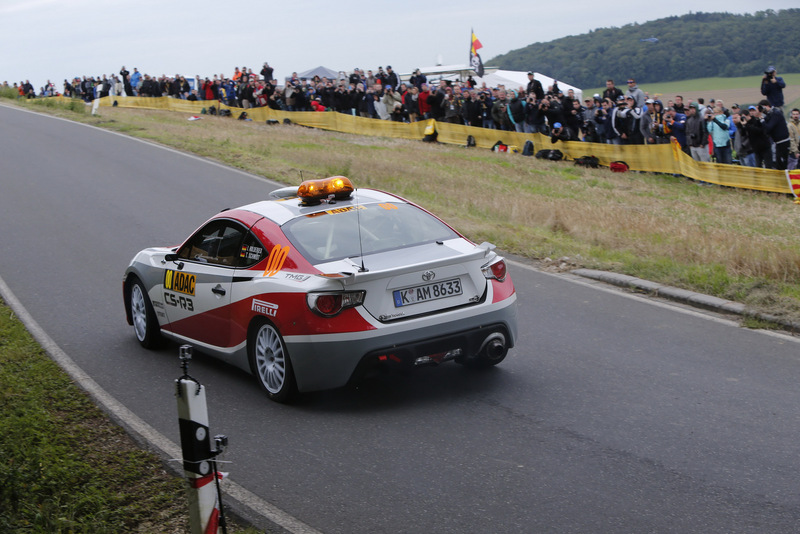 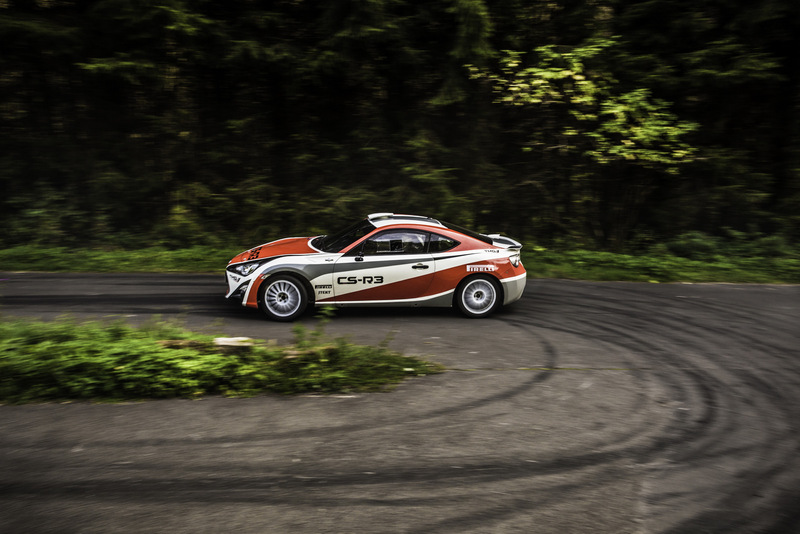 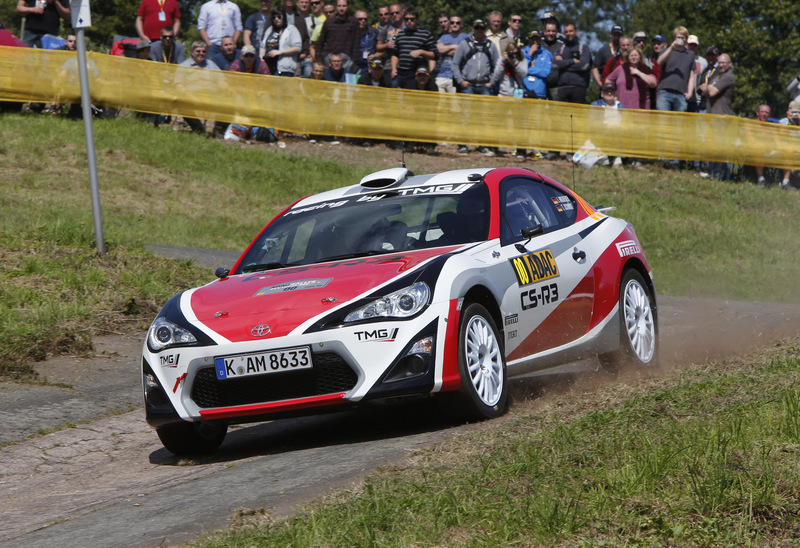 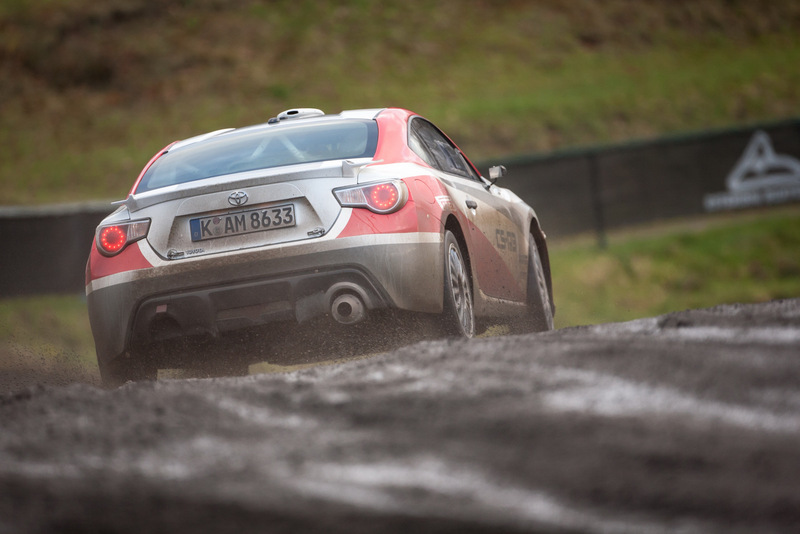 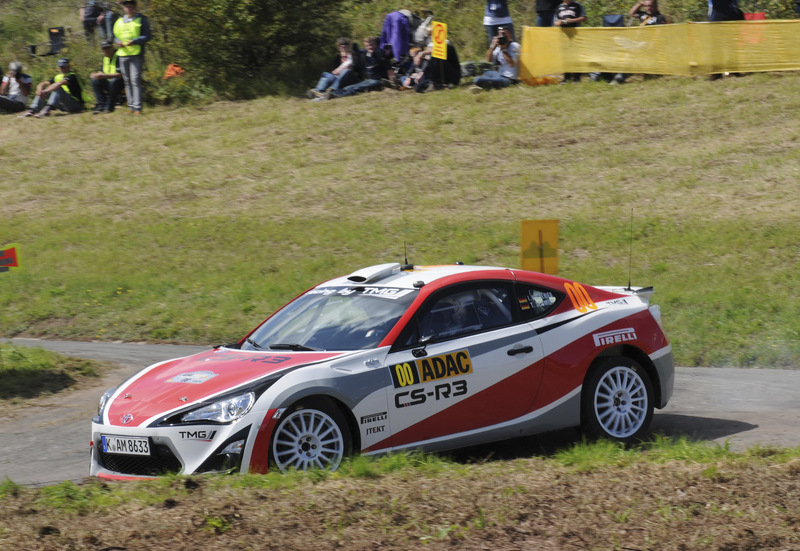 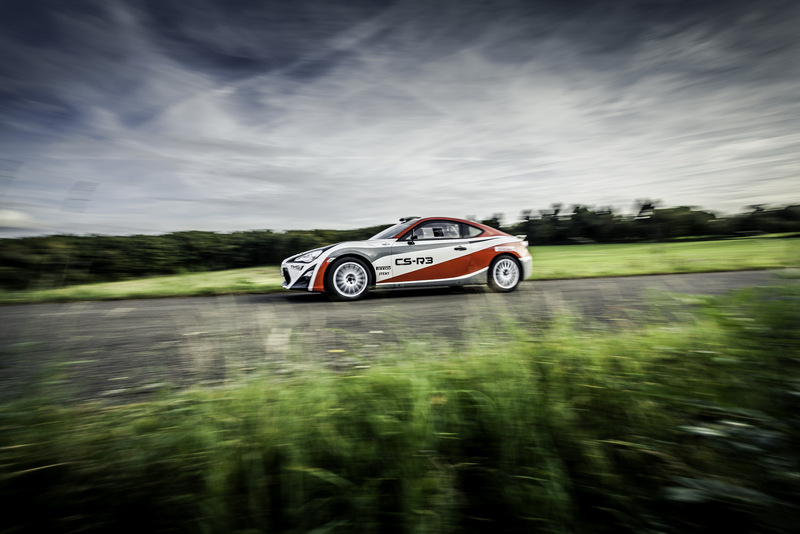 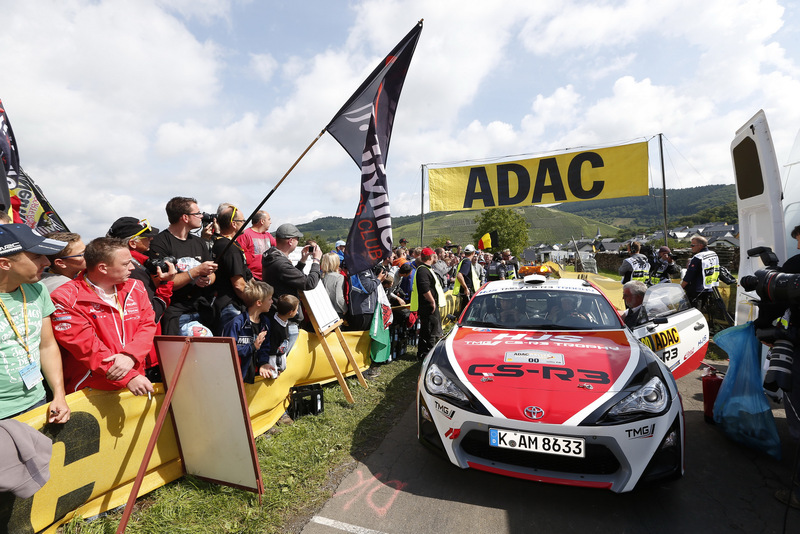 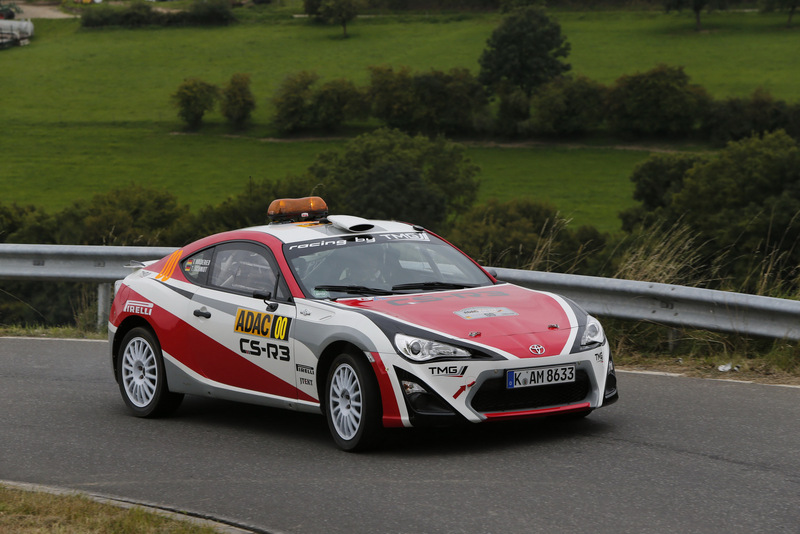 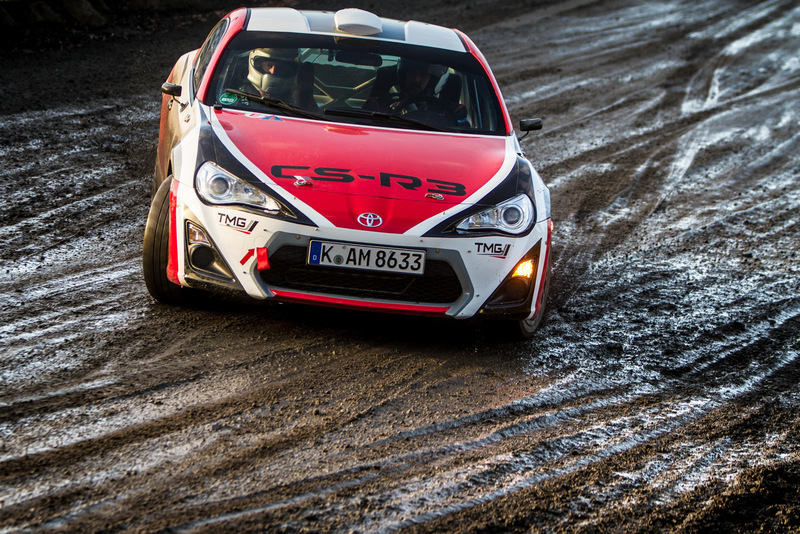 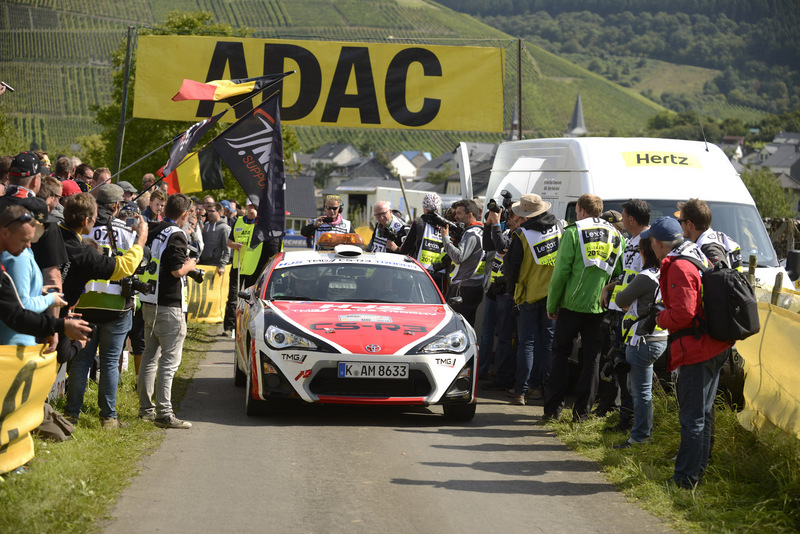 The GT86 CS-R3 will have its competition debut on July 4 at the Rally Niedersachsen near Hanover, Germany, where 10 cars will participate. 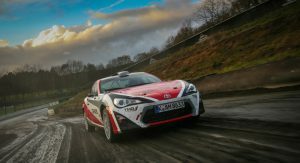 “We have put a huge amount of effort into our testing and development programme in order to deliver a fast, reliable and spectacular car for drivers and fans alike. 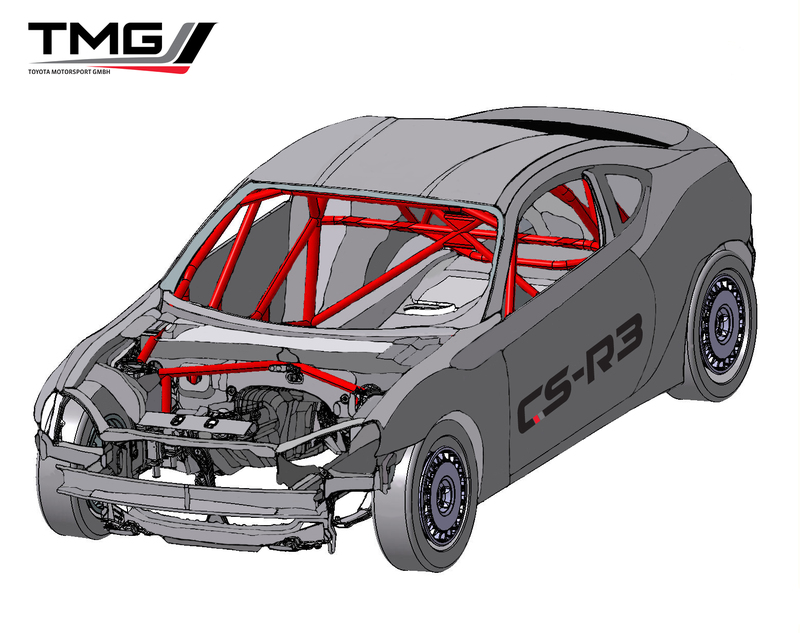 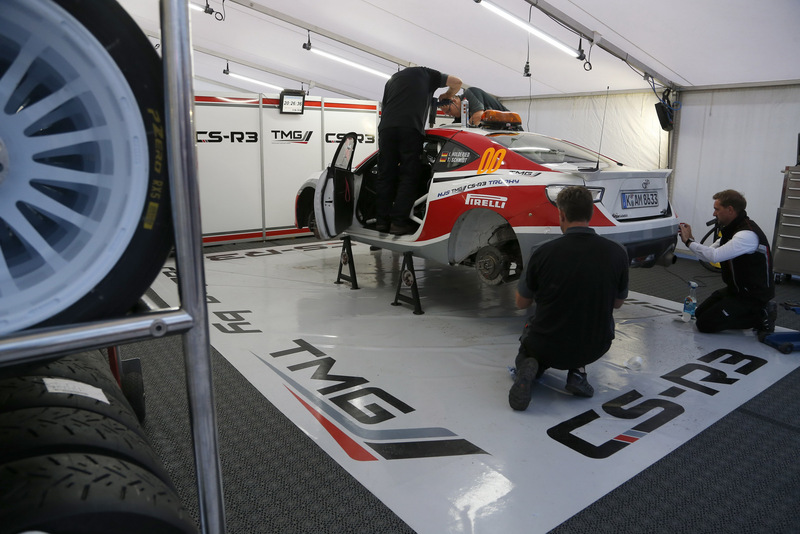 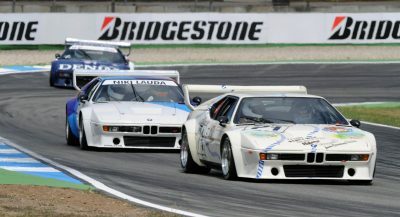 As always, there are a number of challenges with a new-car development; in this case we had quite some work to adjust our rear-wheel-drive car to regulations which were written with front-wheel cars in mind,” said Nico Ehlert, TMG Principal Engineer Customer Motorsport. 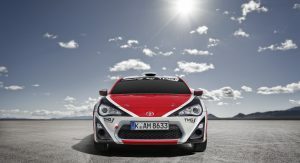 It will be interesting project, however I doubt if it will be quick enough to compete with DS3 and Clio R3T. 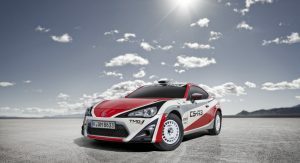 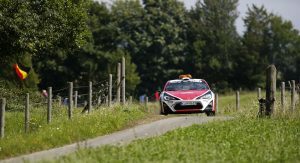 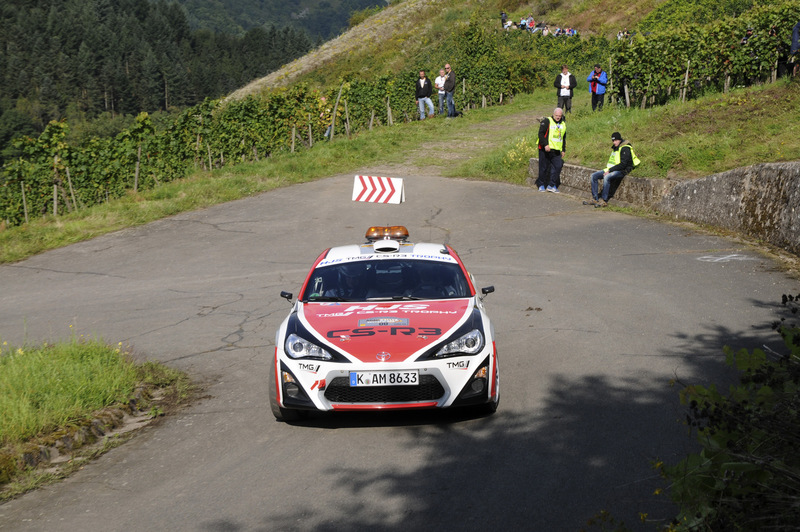 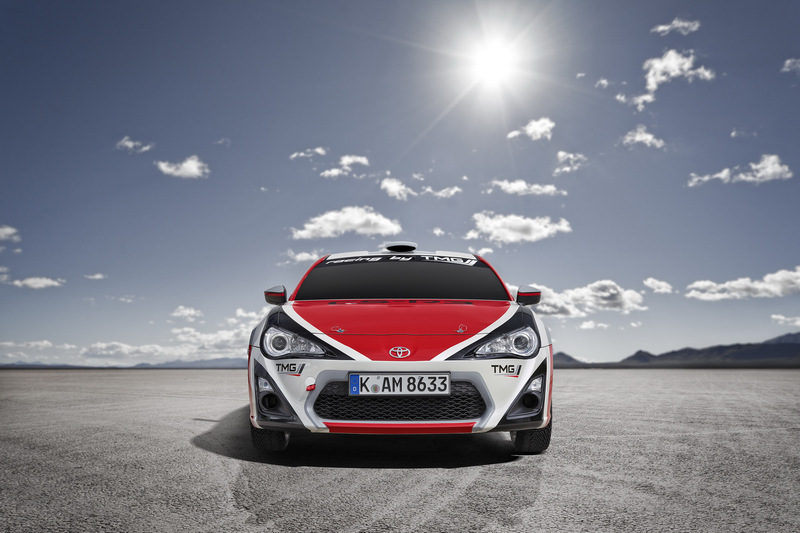 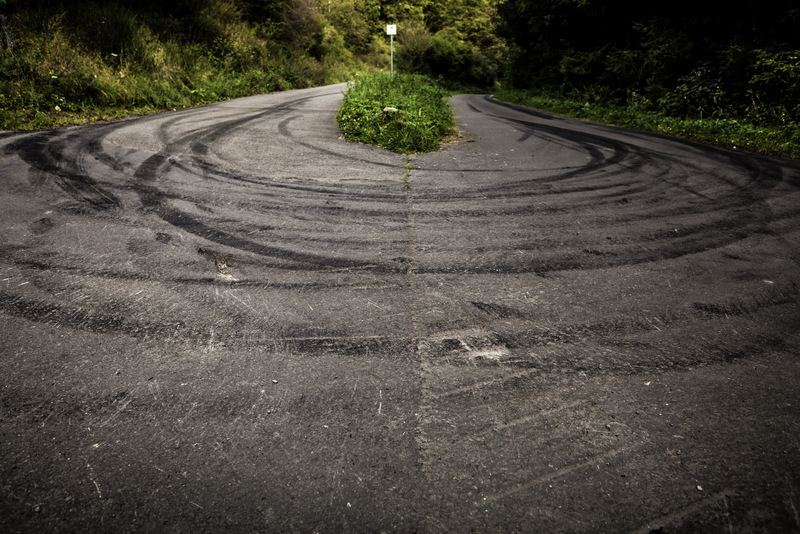 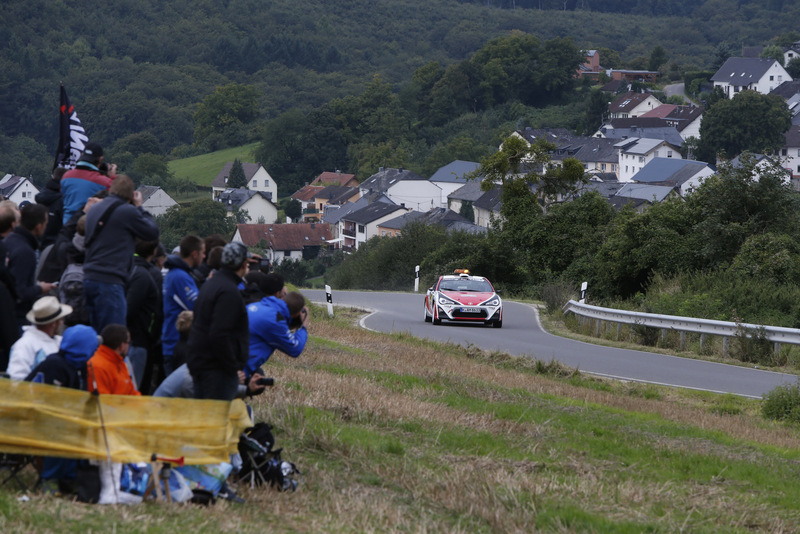 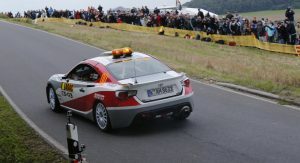 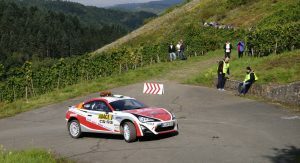 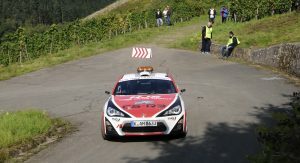 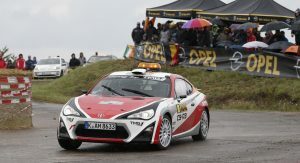 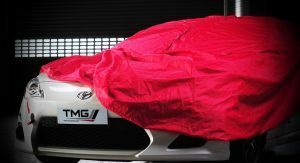 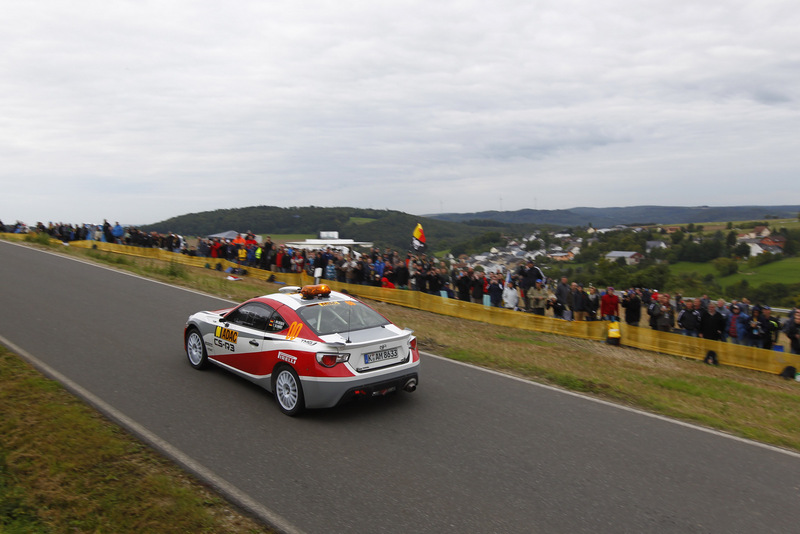 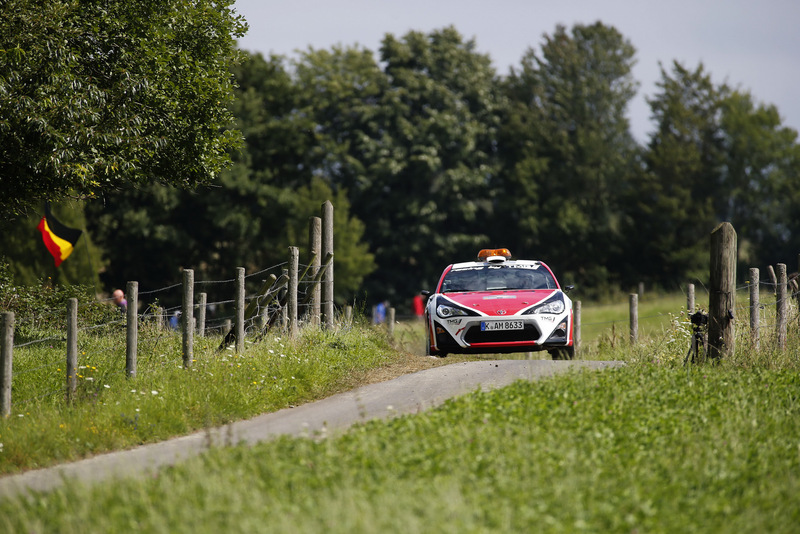 I hope Toyota will put more pressure on Yaris WRC project. 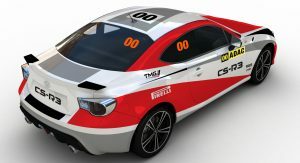 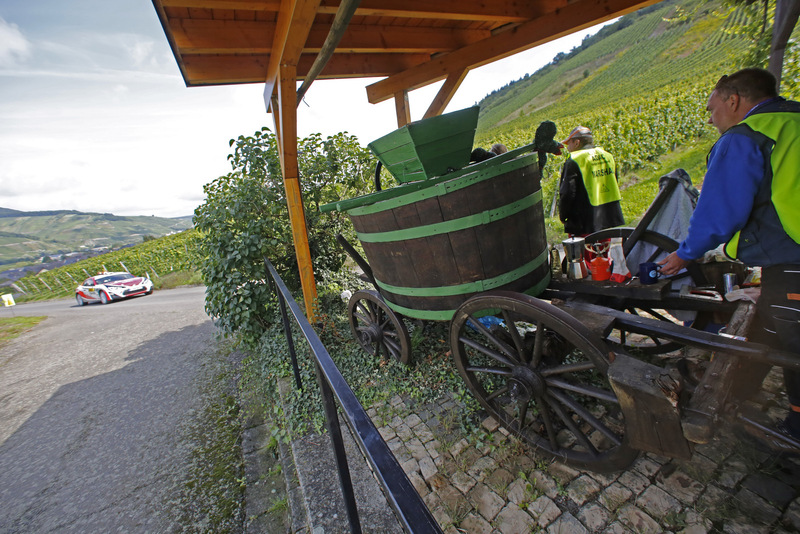 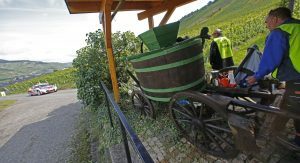 Car is ready, just decision has to be made.